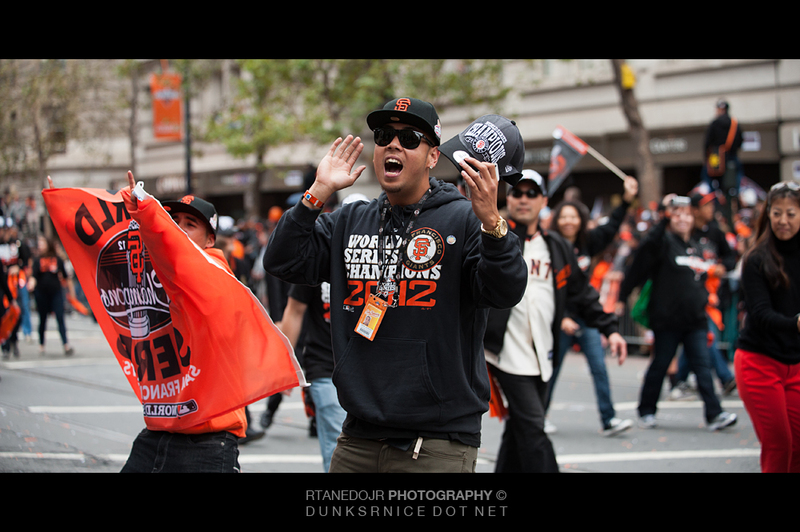 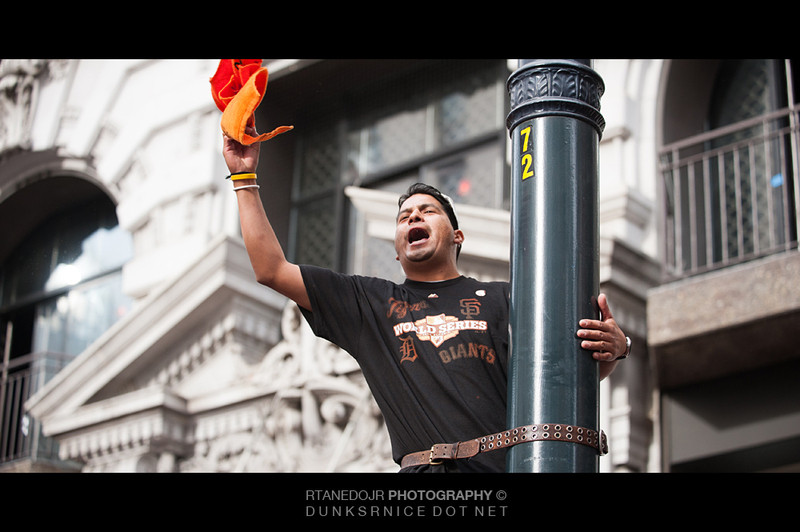 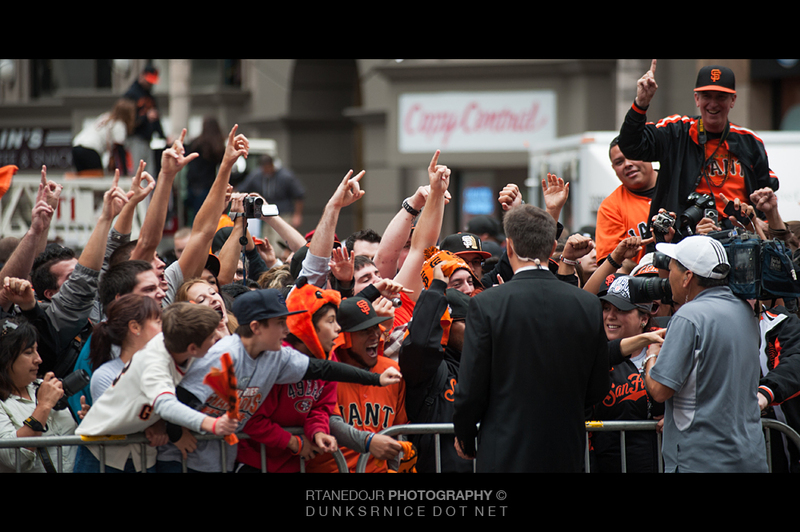 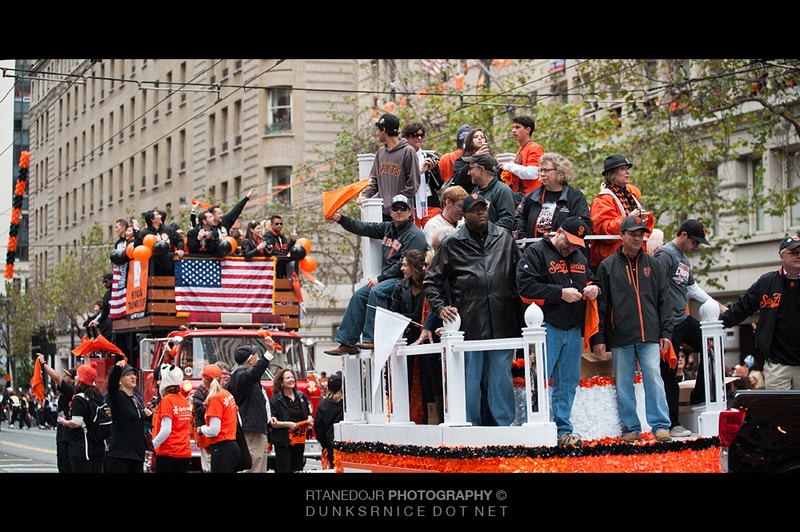 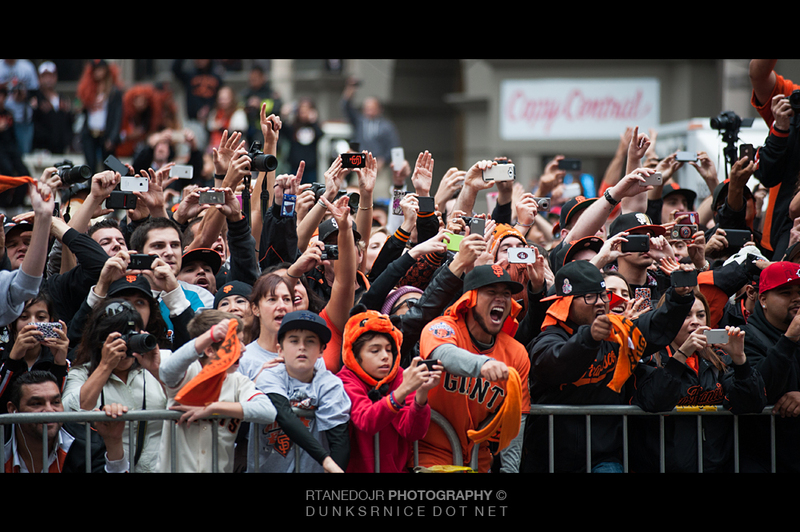 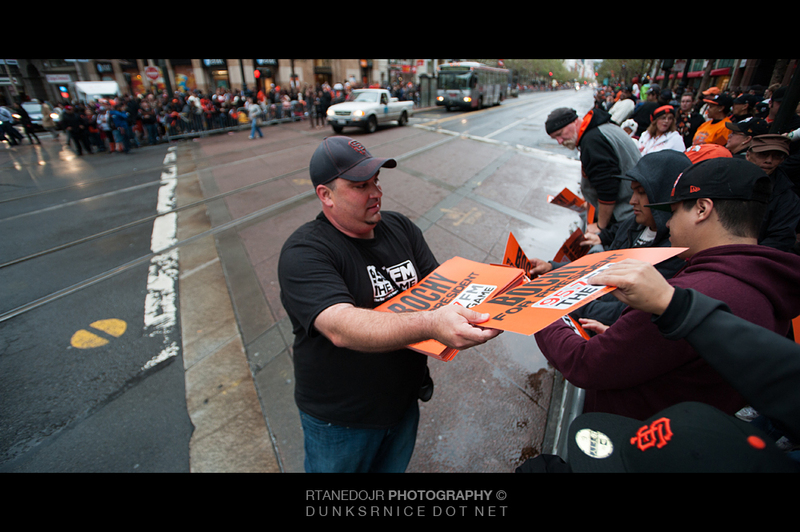 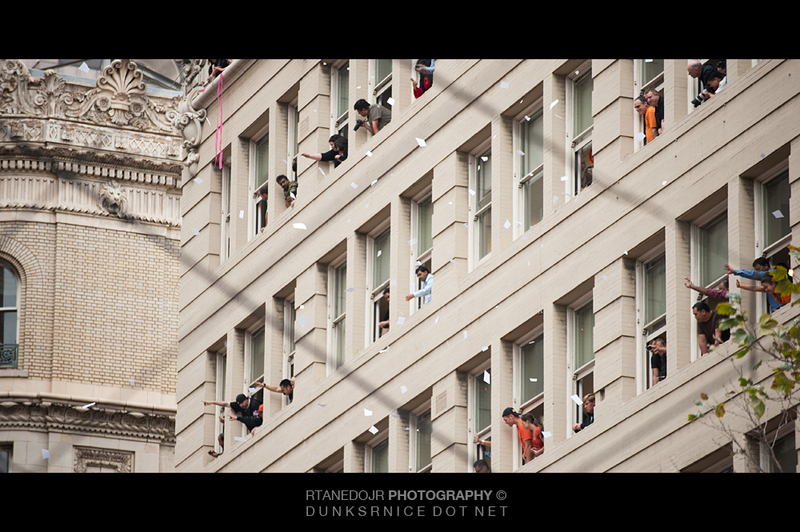 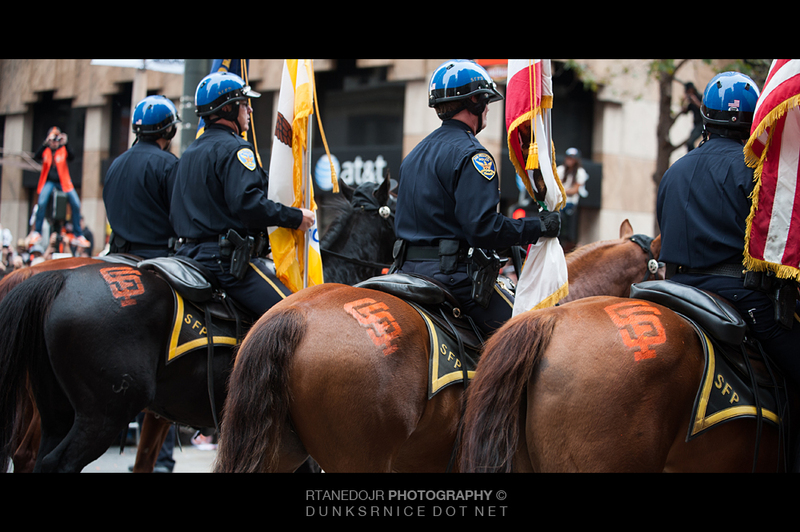 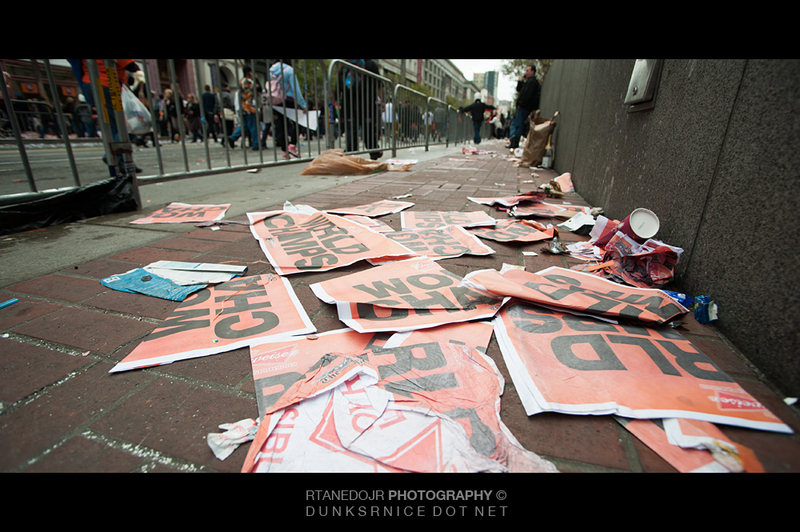 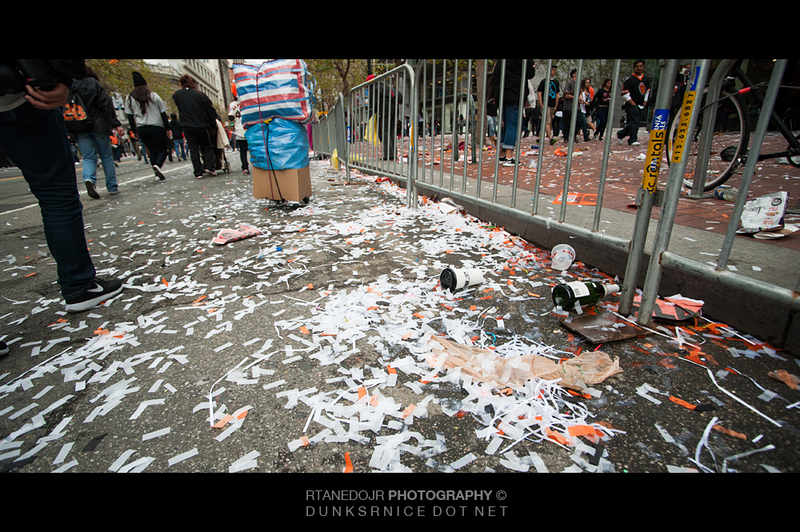 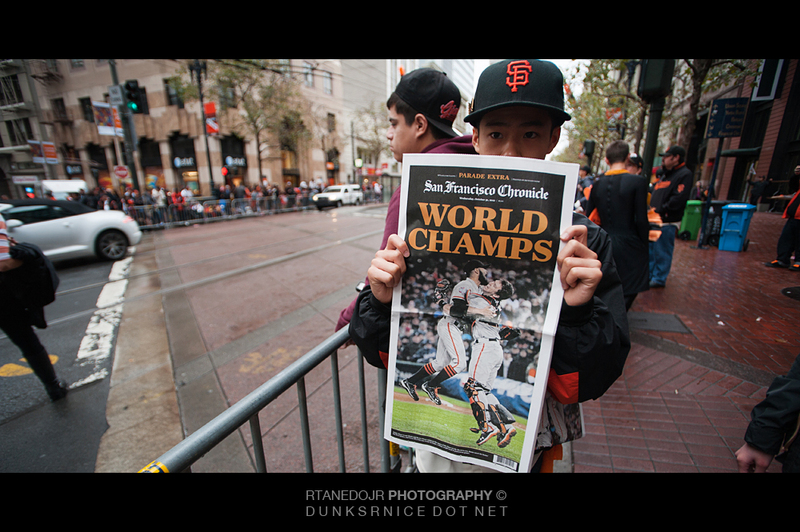 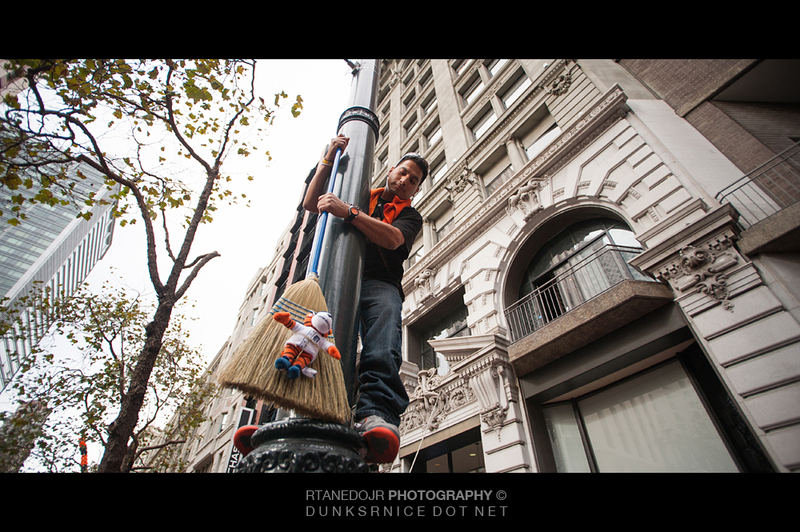 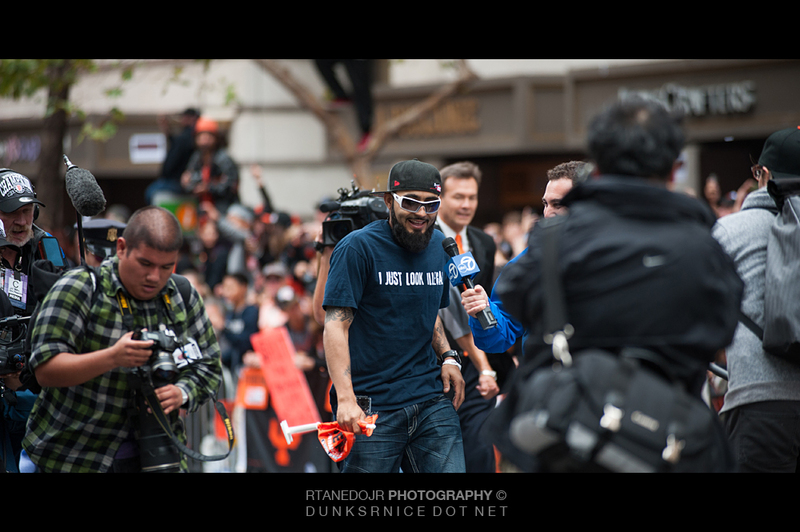 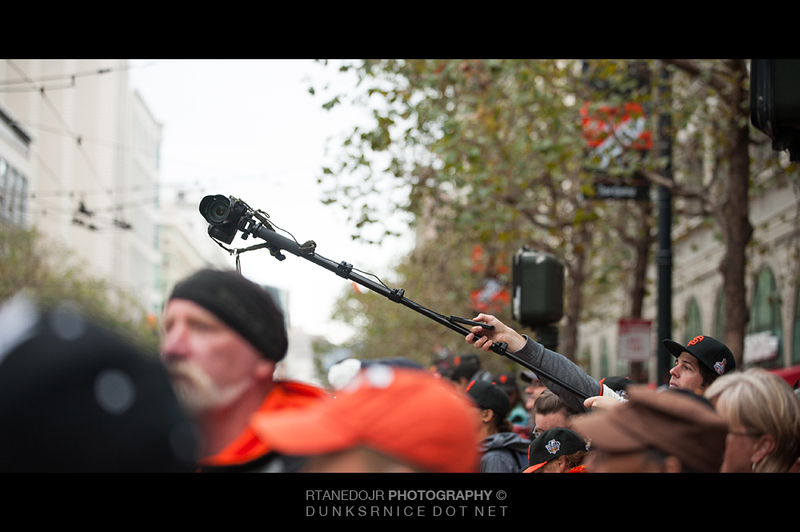 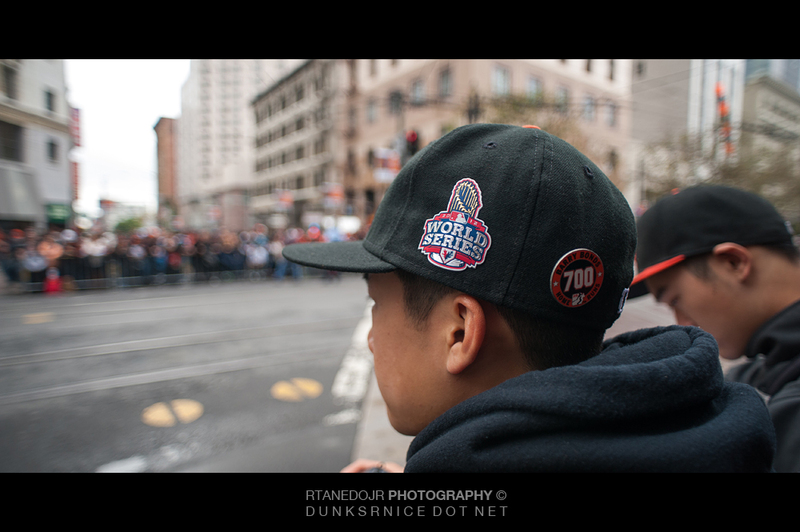 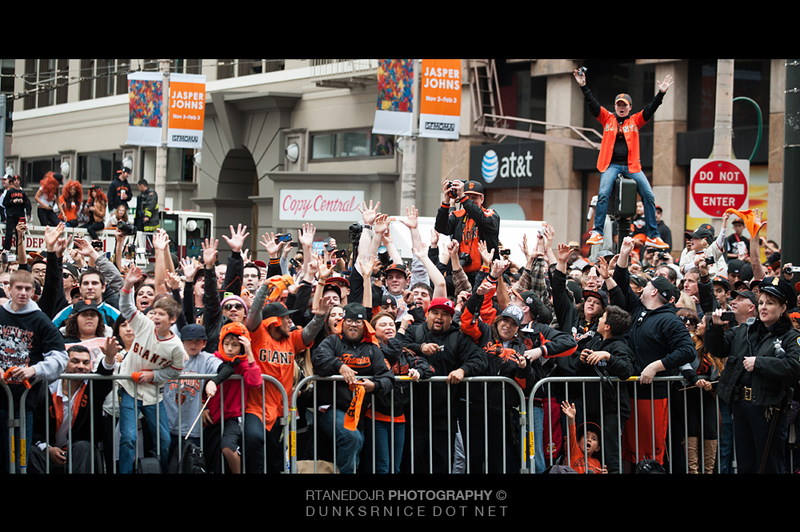 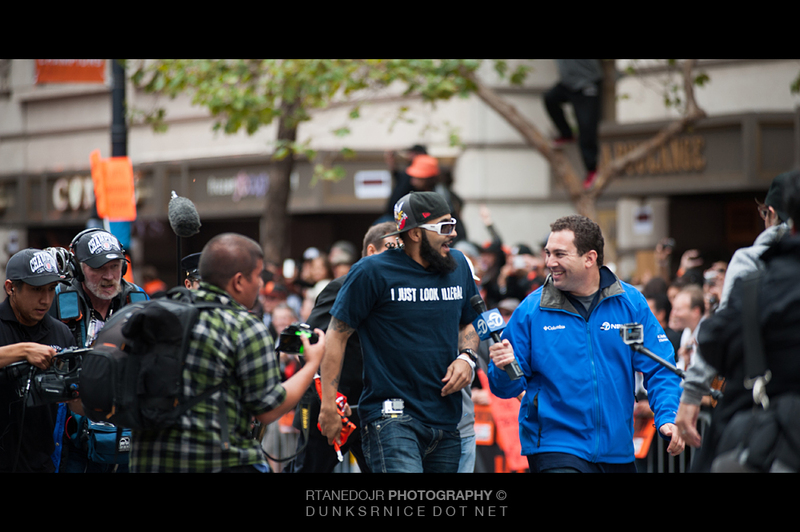 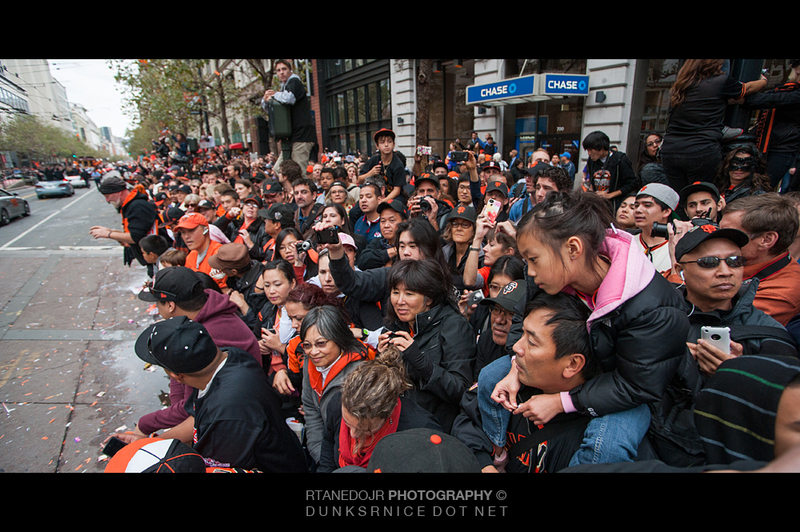 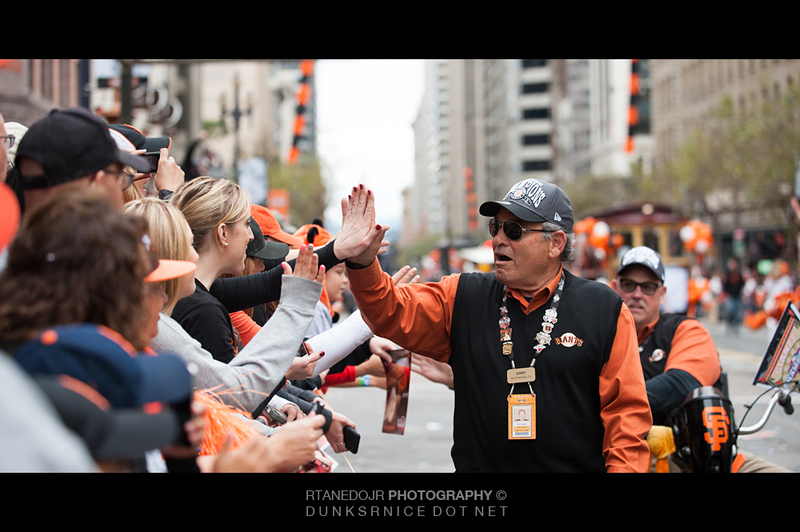 Since I went to the 2010 Giants parade, I was a little more prepared for the parade. 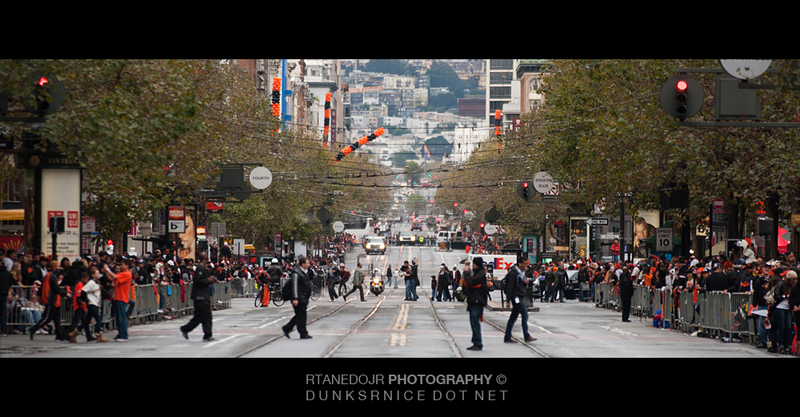 I slept over Ron's house the night before, that way, I wouldn't have to worry about getting to San Francisco in the morning. 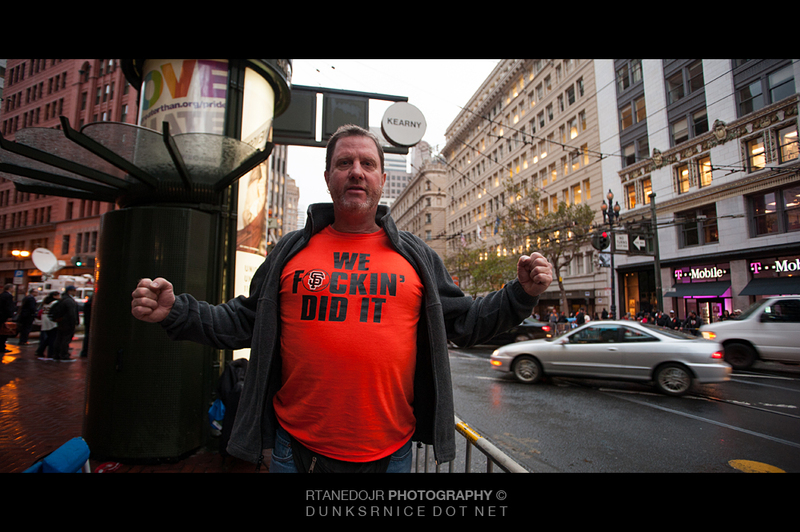 Ron's friend Ray met up with us and we all left before 6:30. 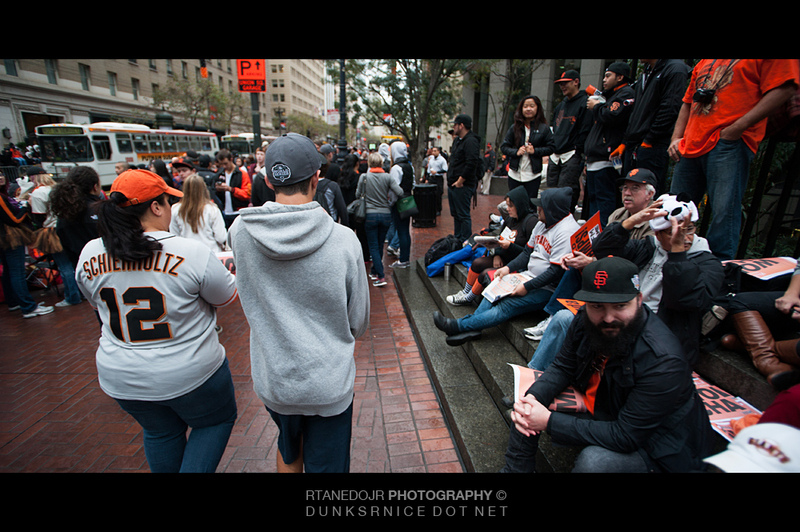 The first bus we were trying to ride was packed since it was the express. 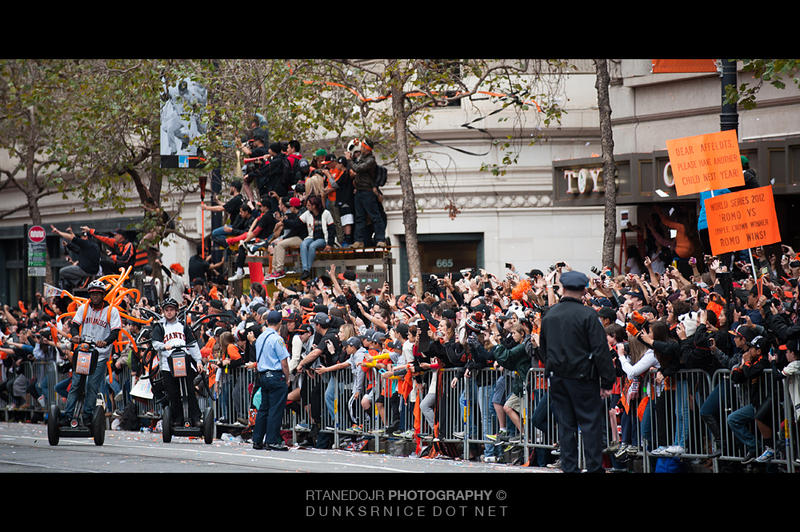 Got on the second one with no problems but the more closer we got to downtown San Francisco, the more packed the bus got. 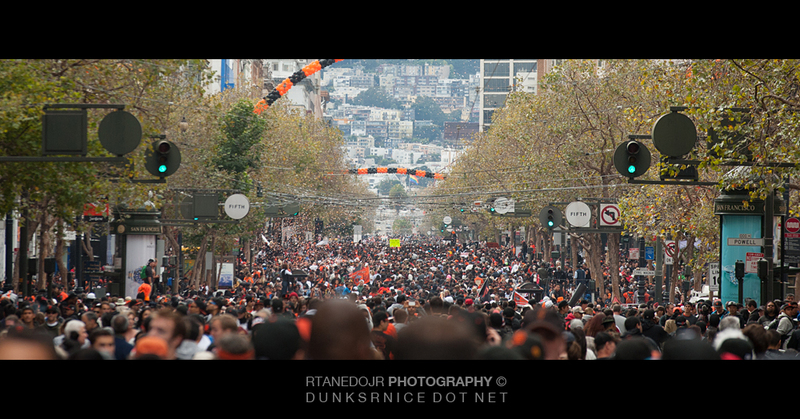 Got to Market Street around 7 in the morning. 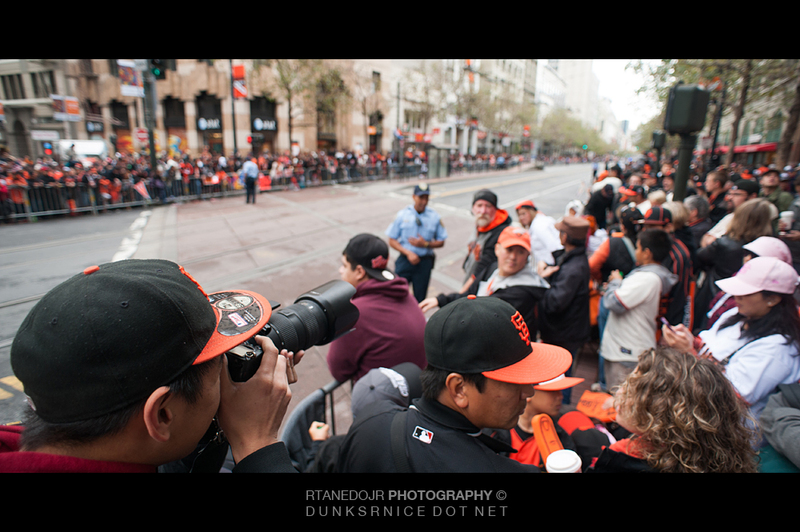 Ryan was there before us, which was great because looking around the area, people already took a good amount of spots in front of the barricade. 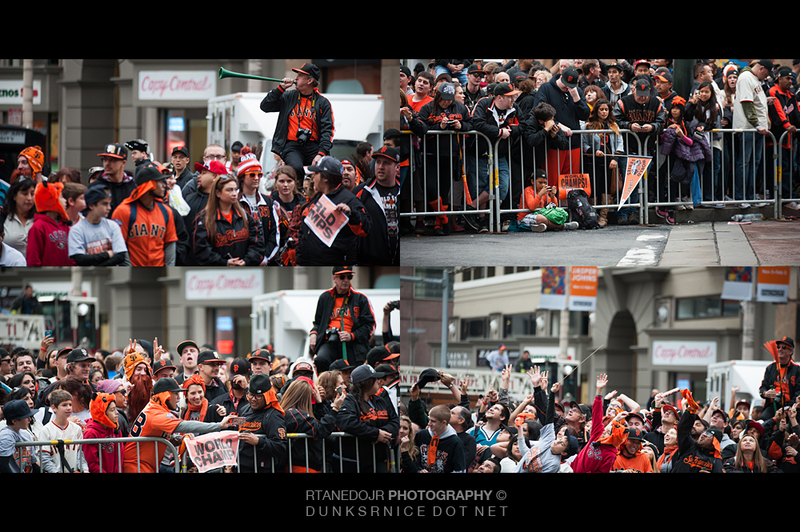 Waiting for hours seemed very short since there was a lot of things going around that kept all of us entertained. 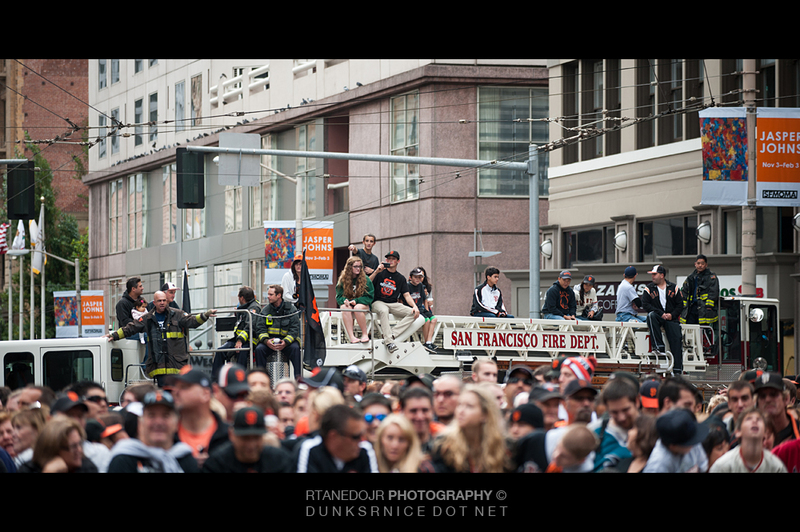 Before I knew it, the parade started and was such a fun experience. 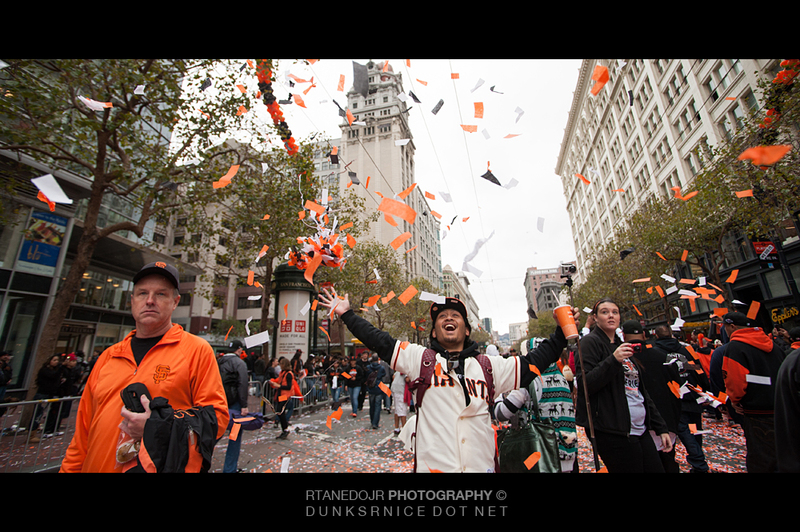 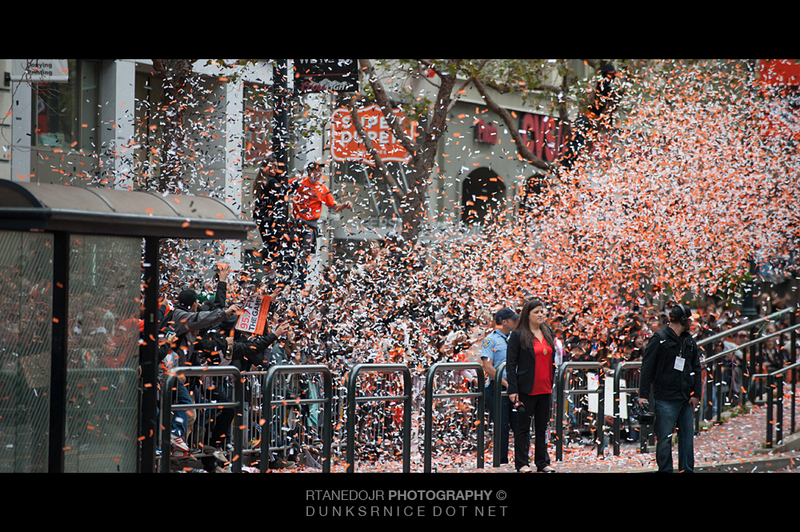 After the parade walked on Market to play with the confetti and what not. 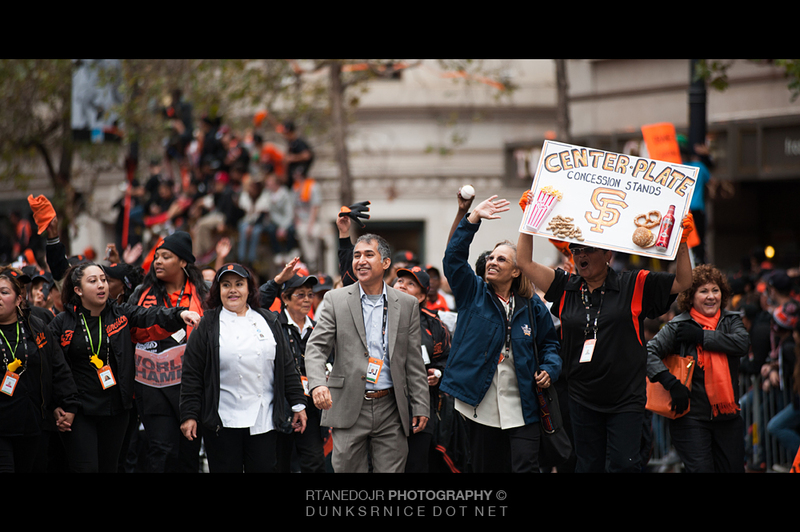 Ate and headed back to Ron's place to knock out. 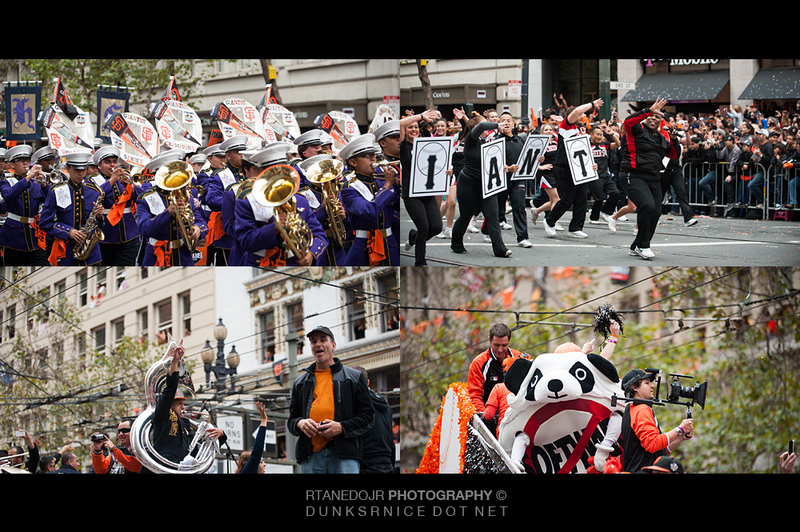 For the most part, if I didn't have Eric's 80-200mm F/2.8, I wouldn't have gotten most of the photographs that were possible. 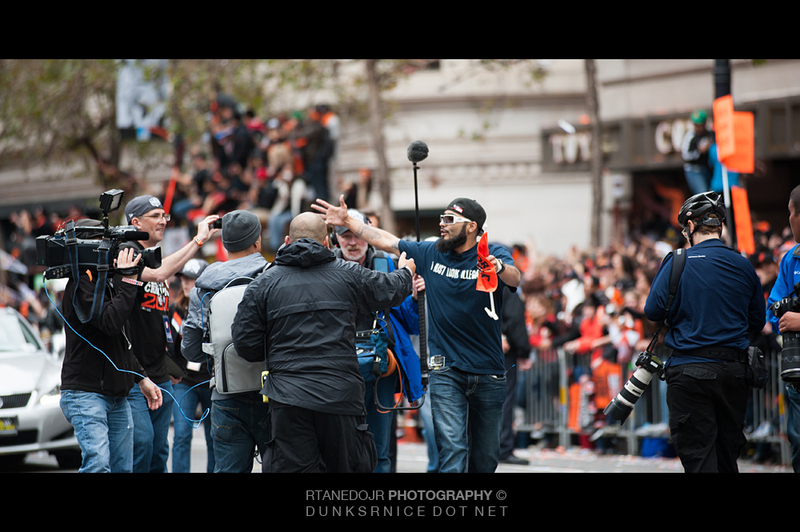 So thank you Eric for letting me borrow your lens, I really appreciate it along with Ron for staying the night and having a place to rest. 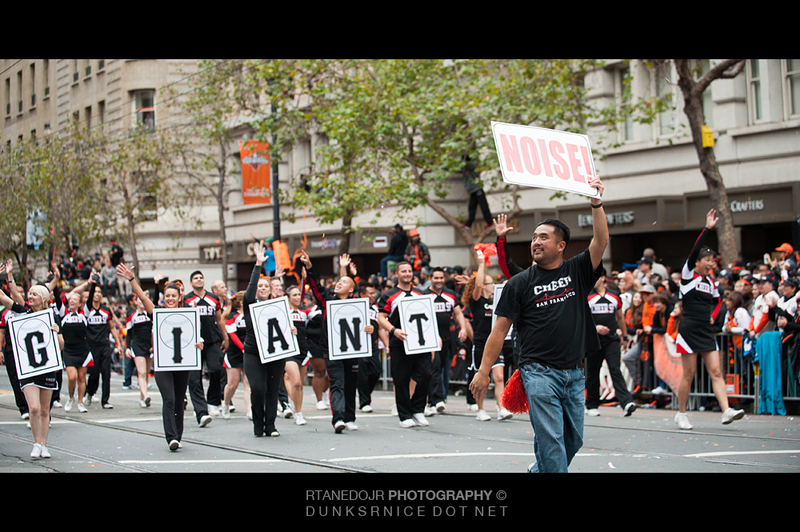 Really means a lot. 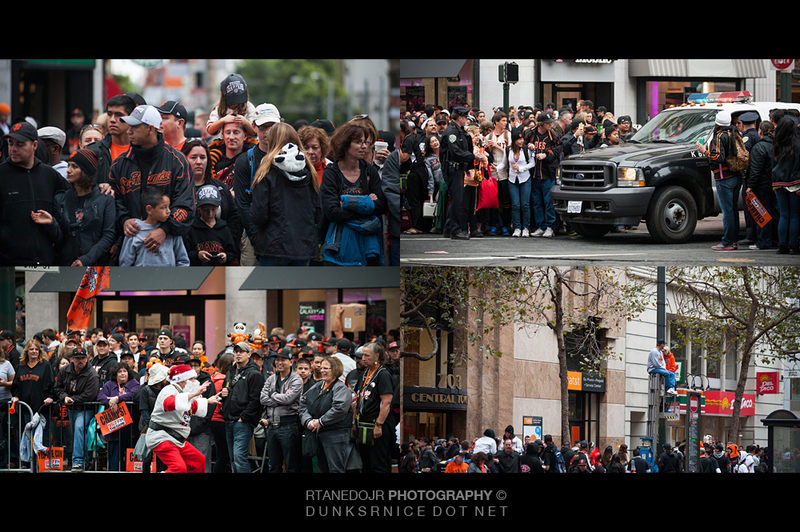 Overall had a blast and was better than expected. 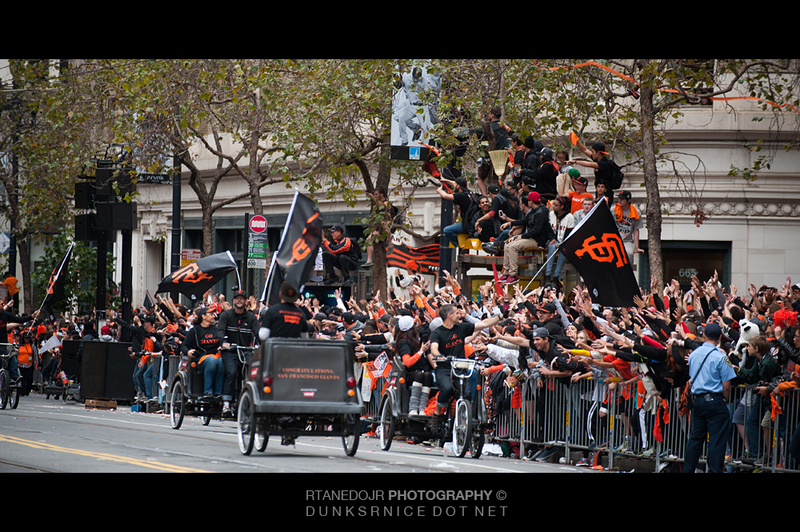 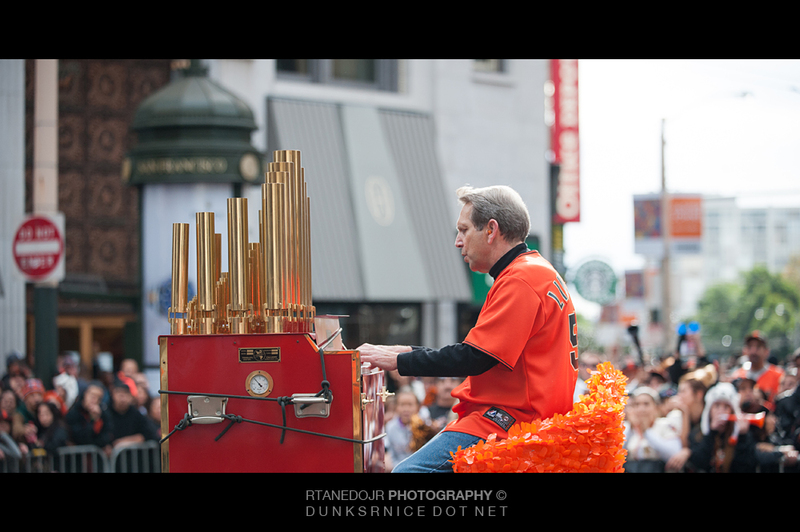 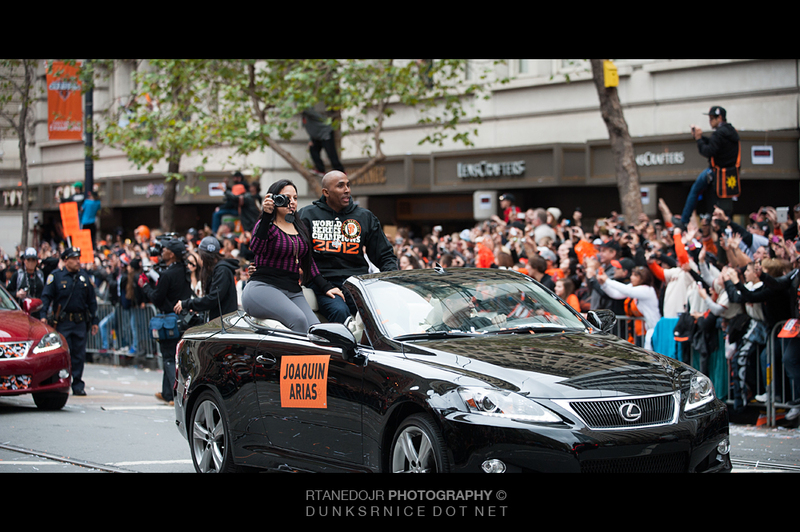 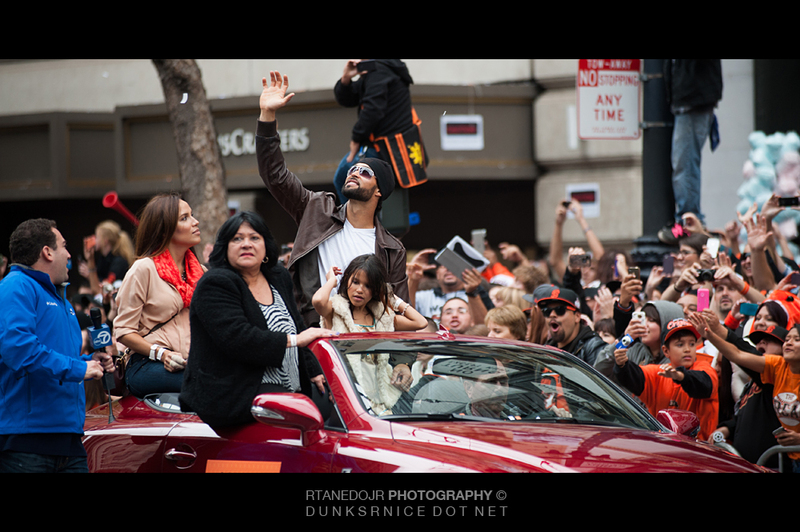 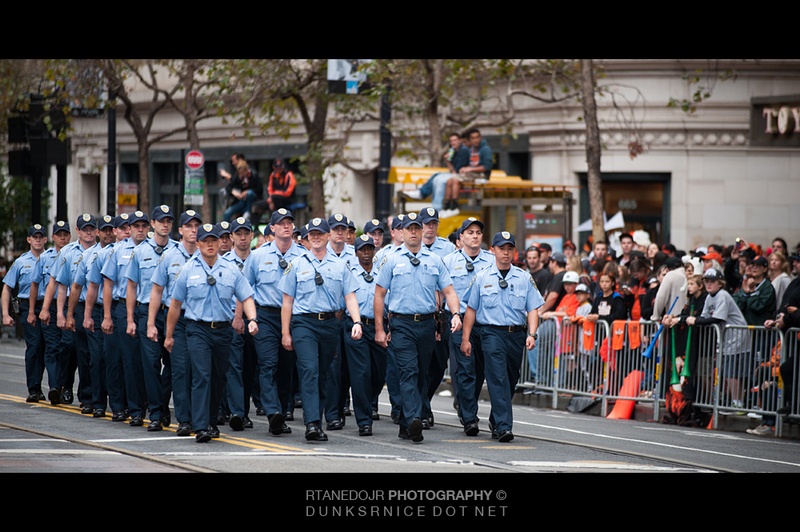 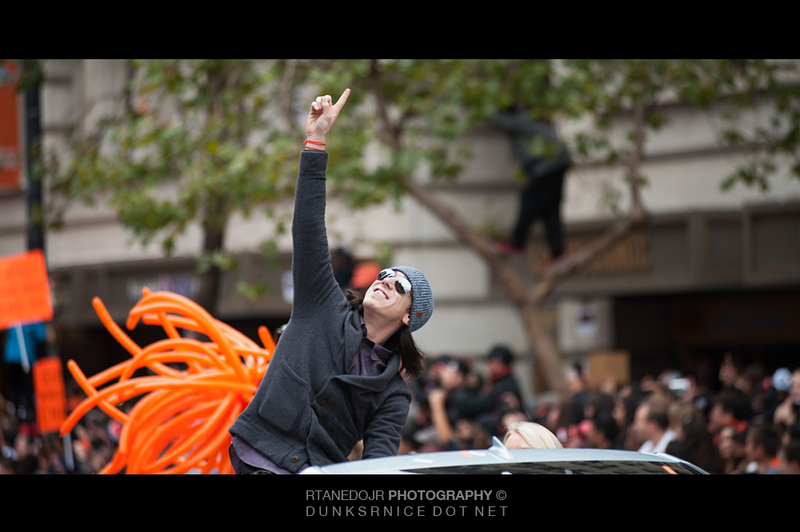 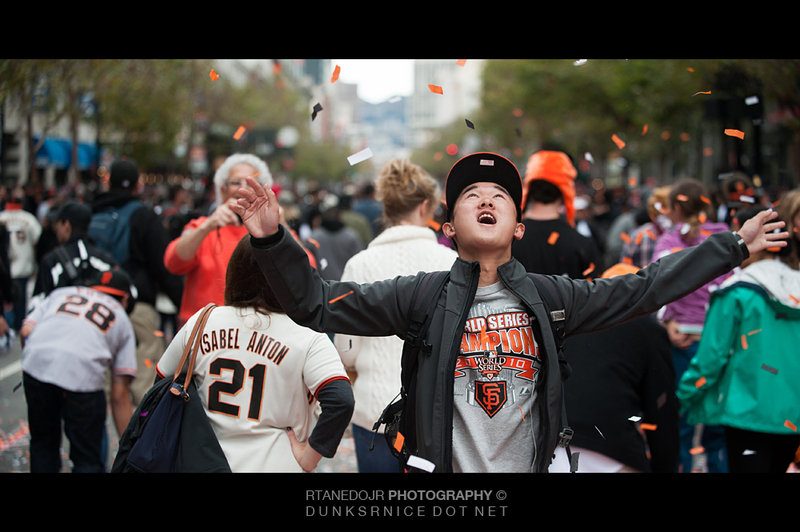 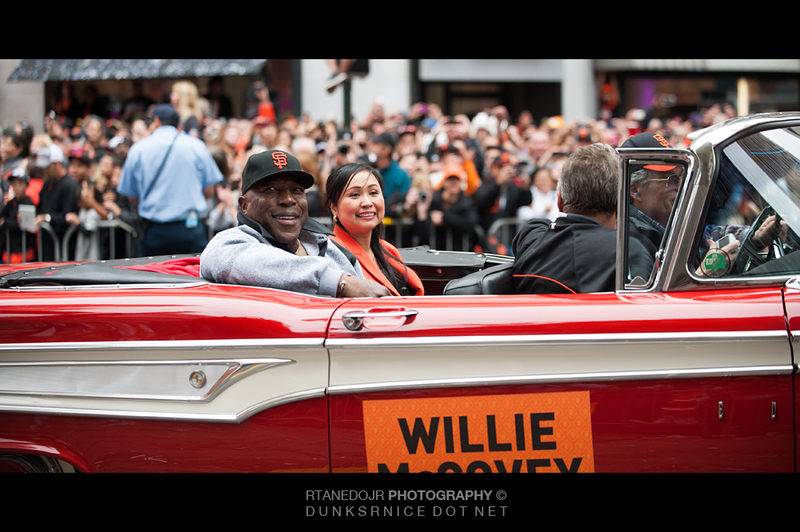 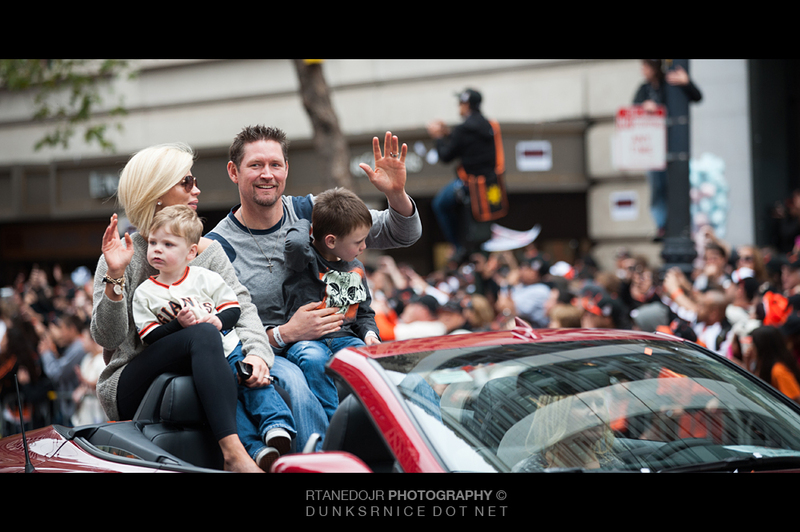 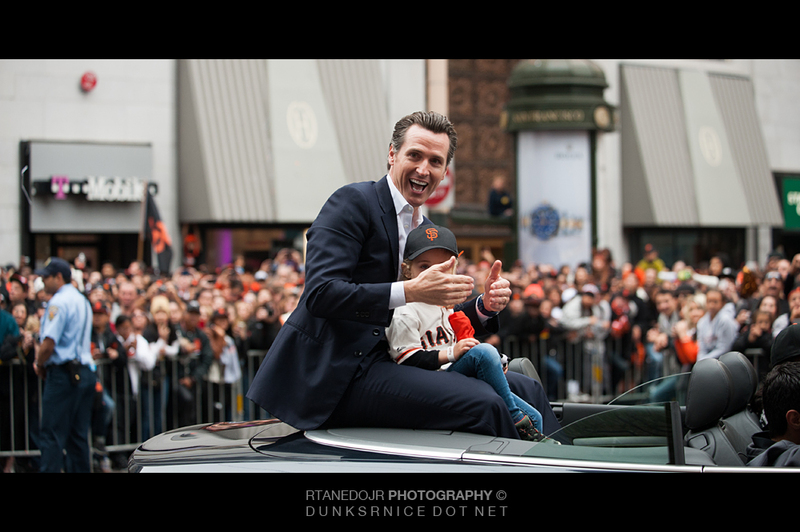 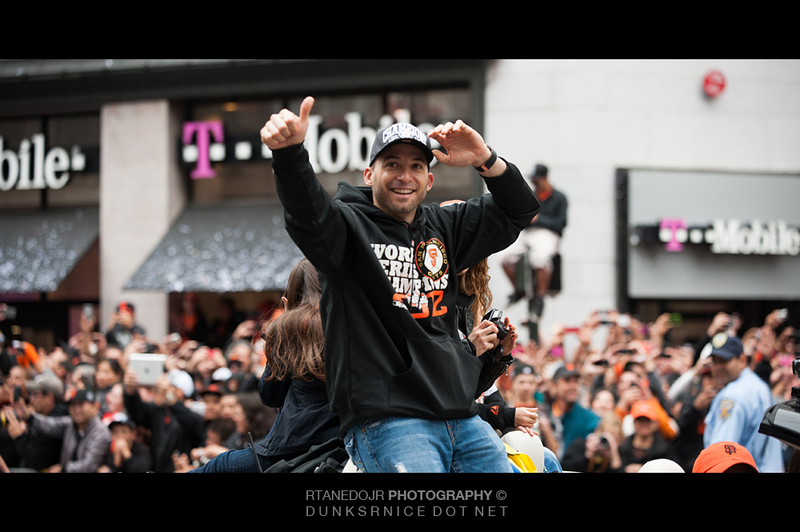 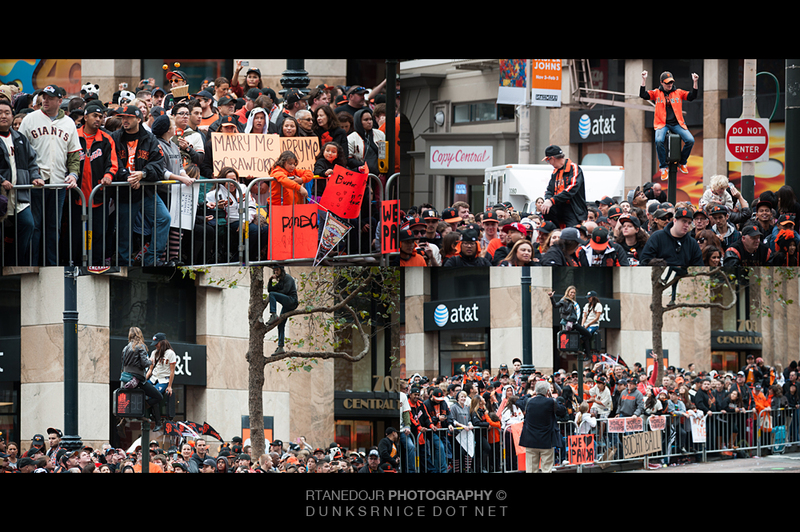 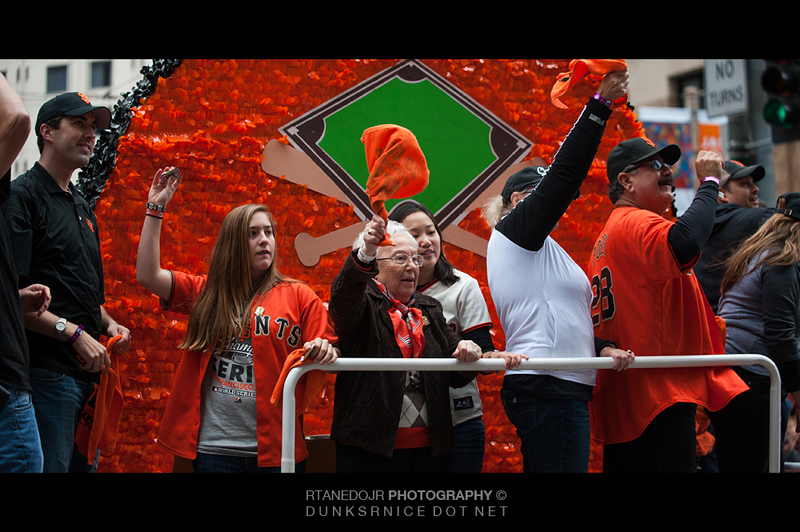 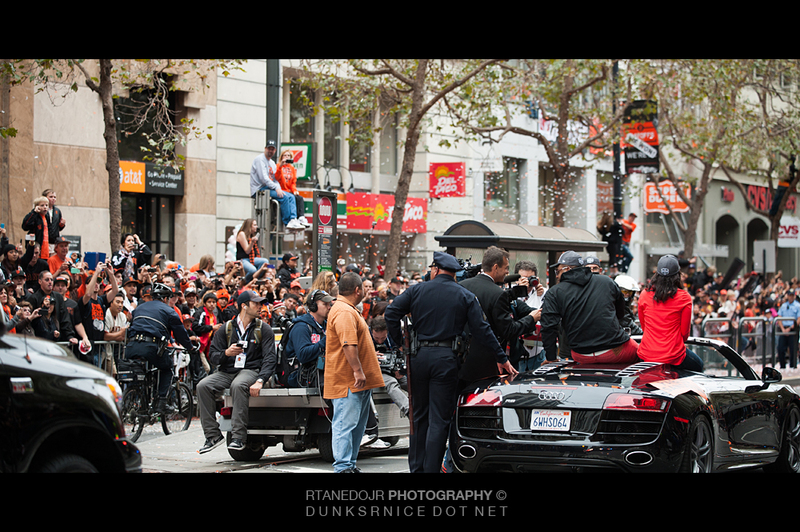 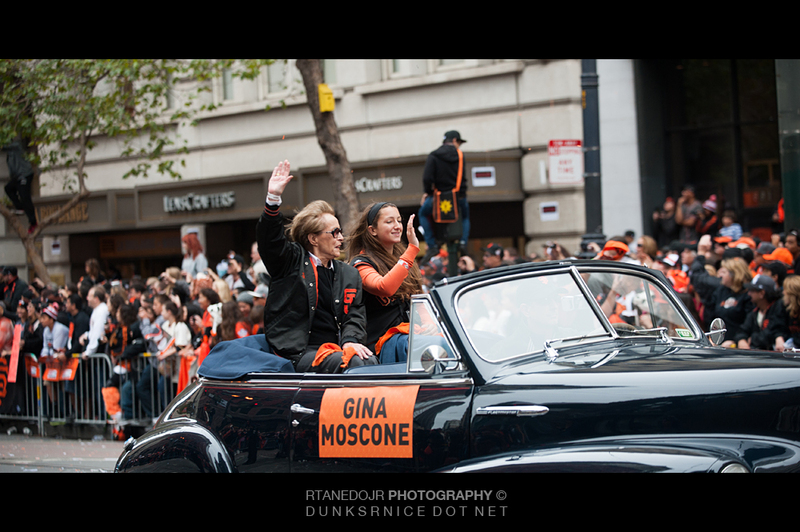 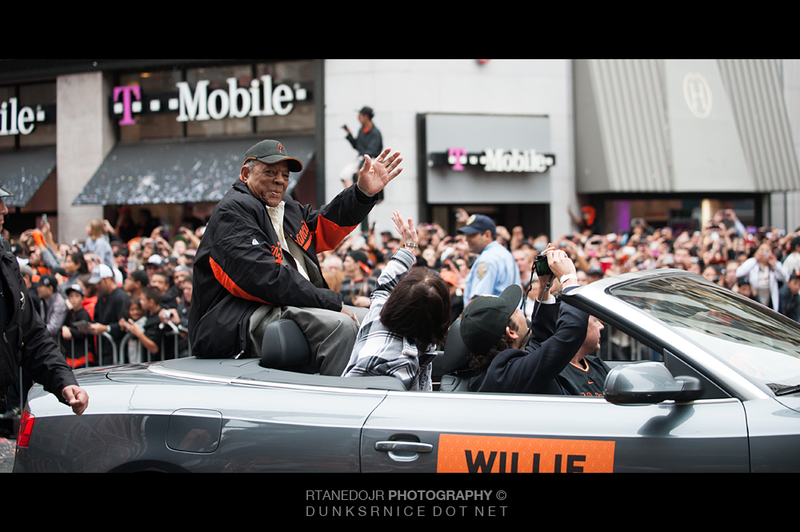 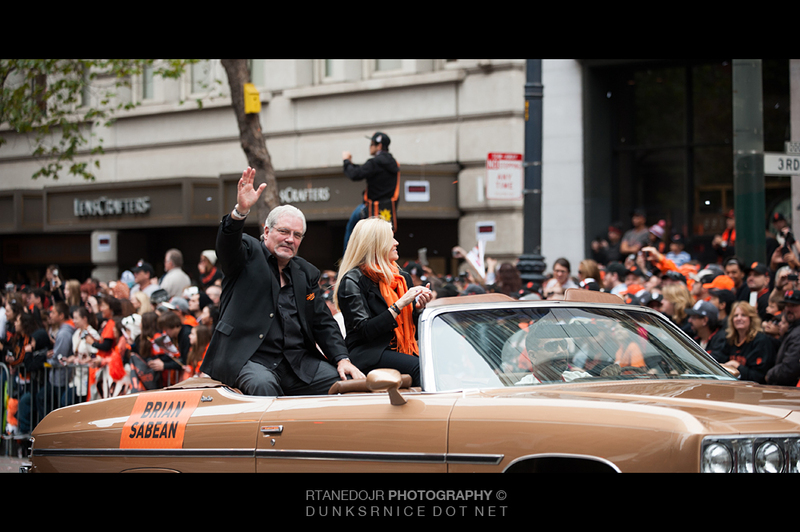 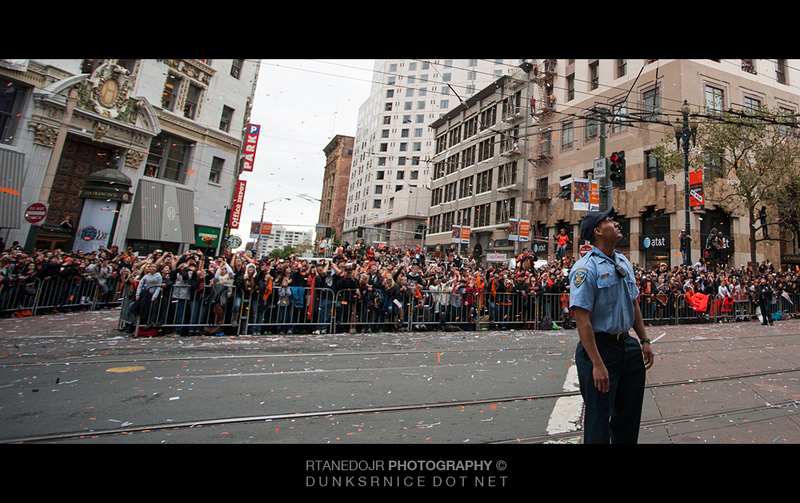 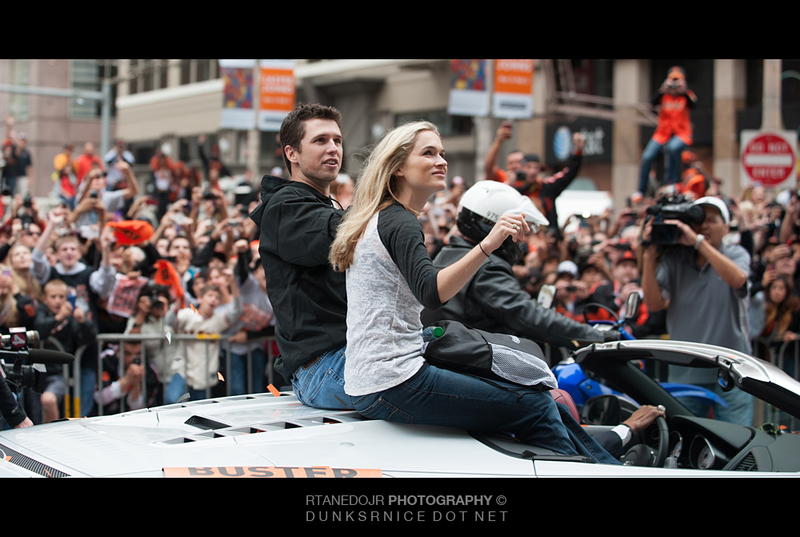 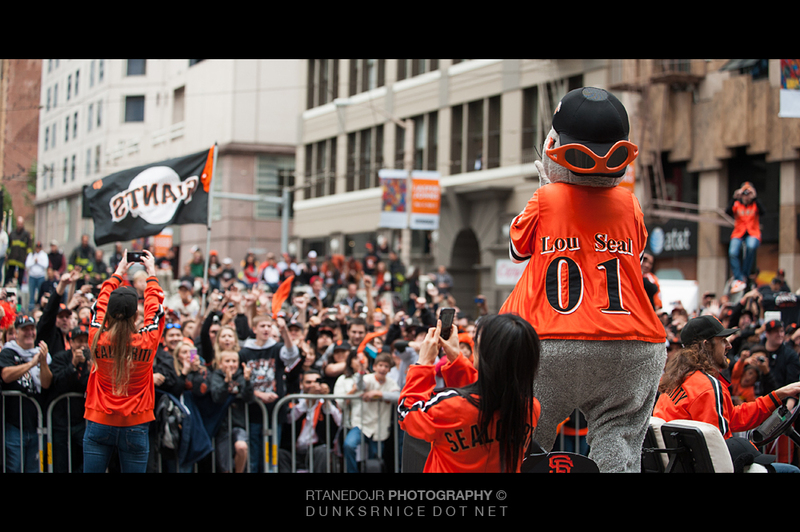 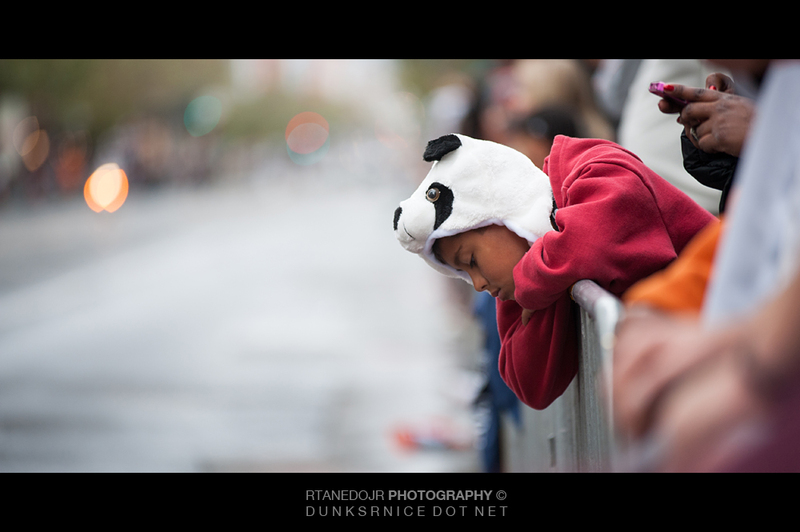 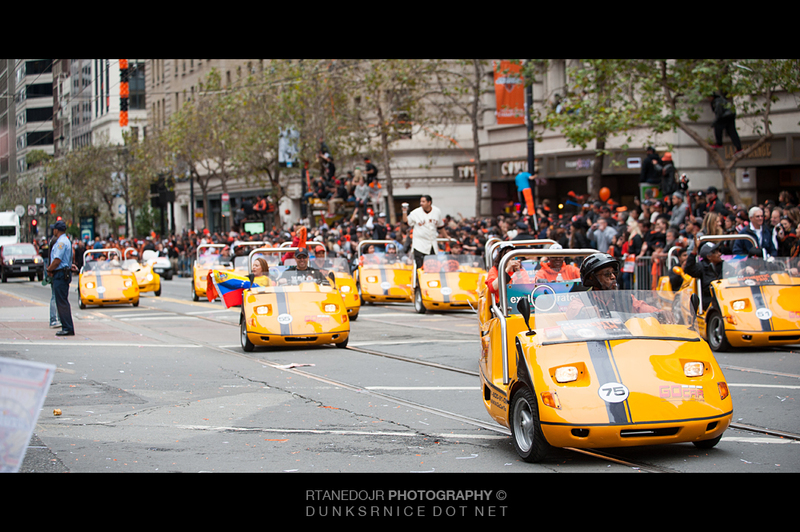 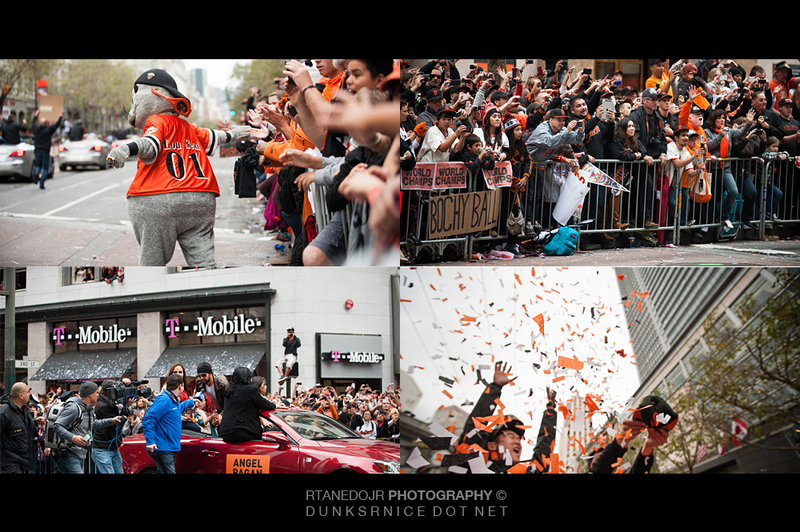 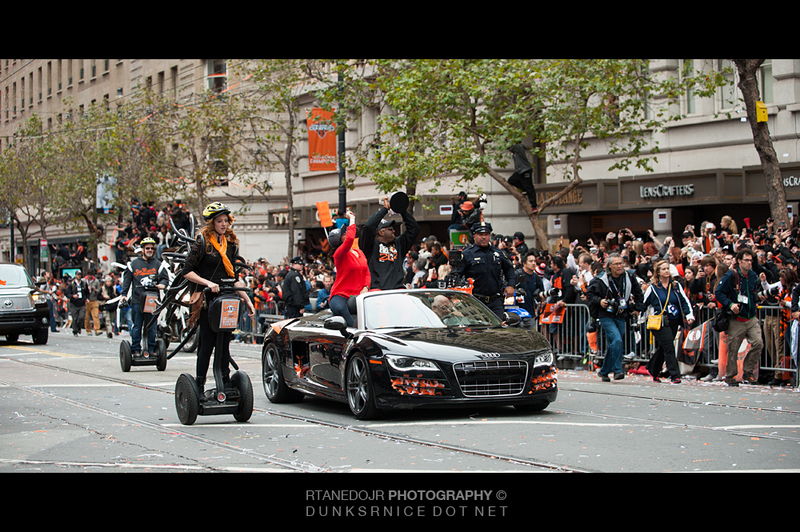 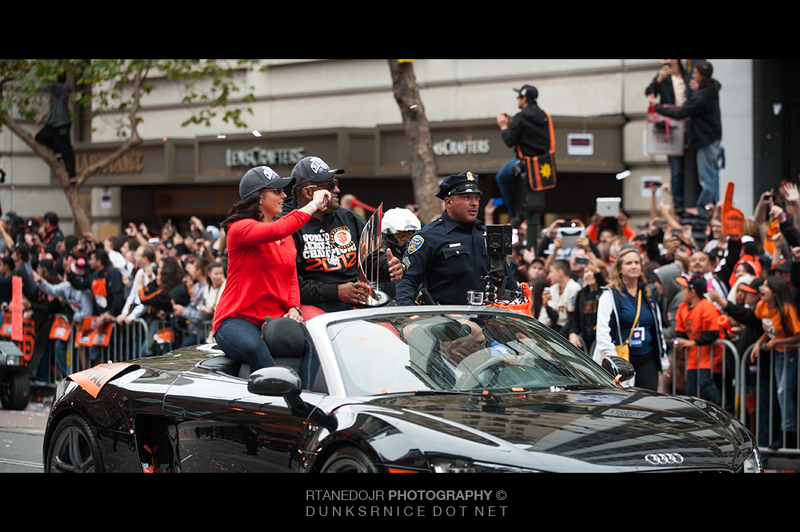 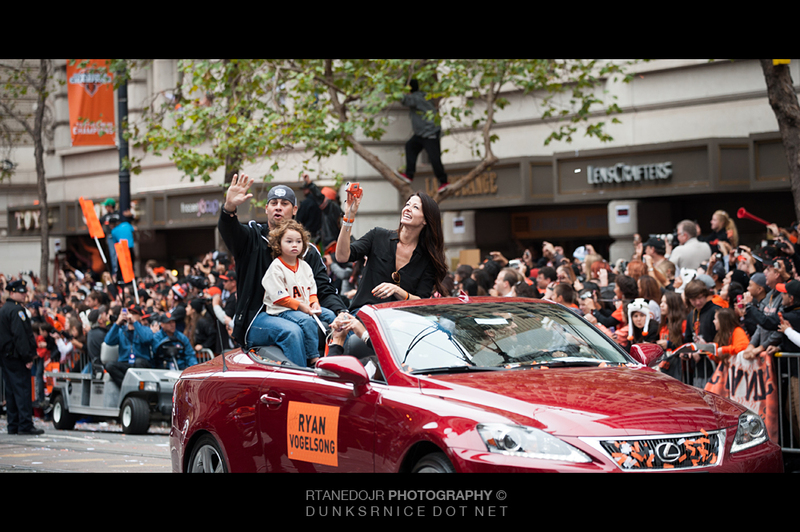 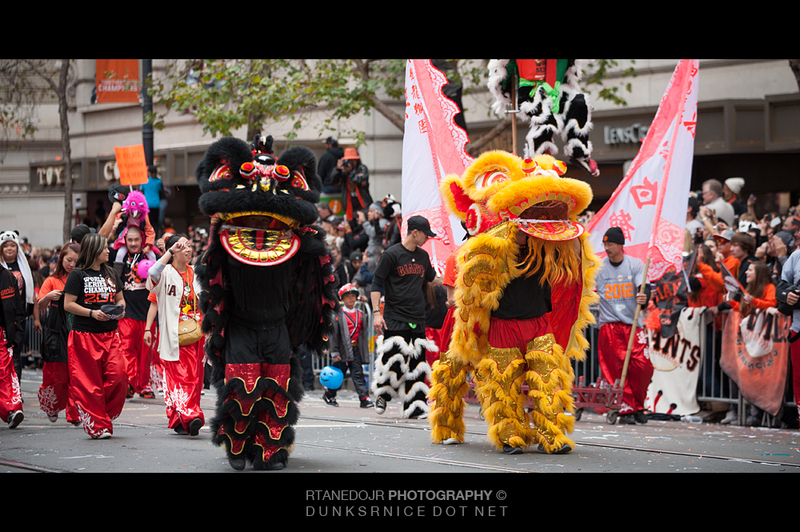 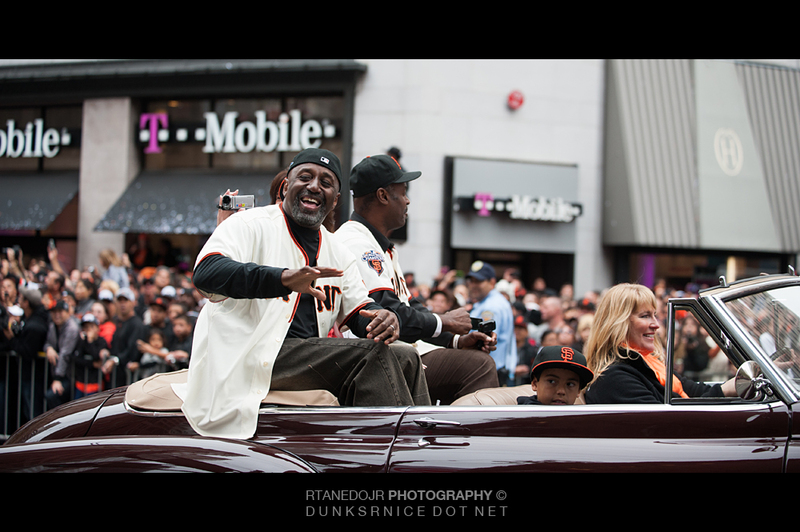 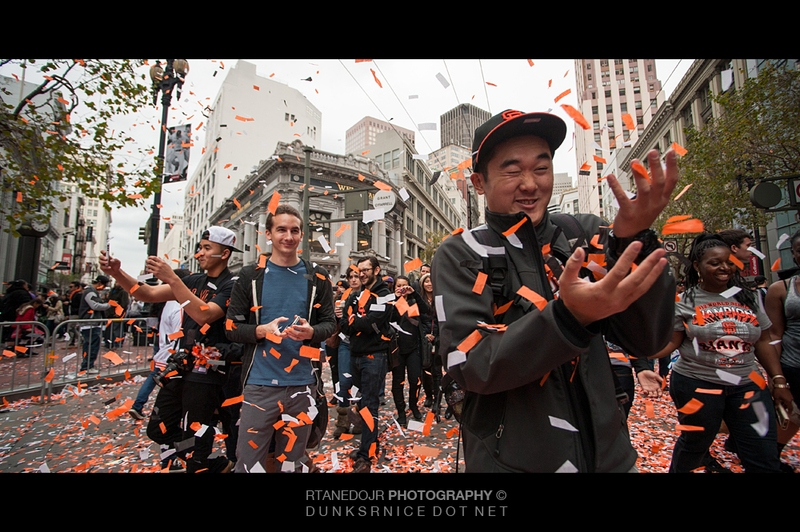 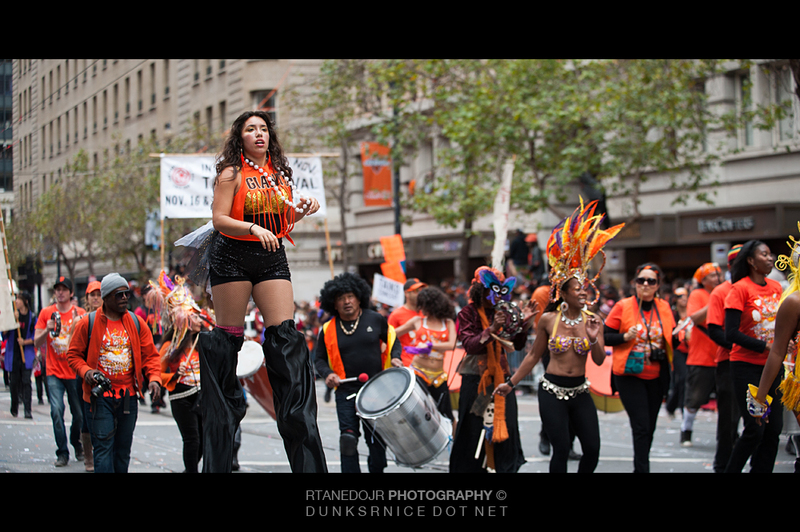 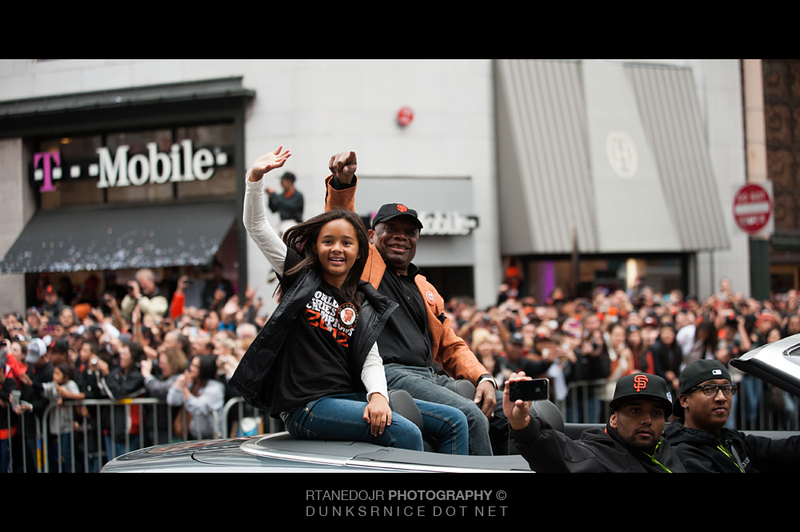 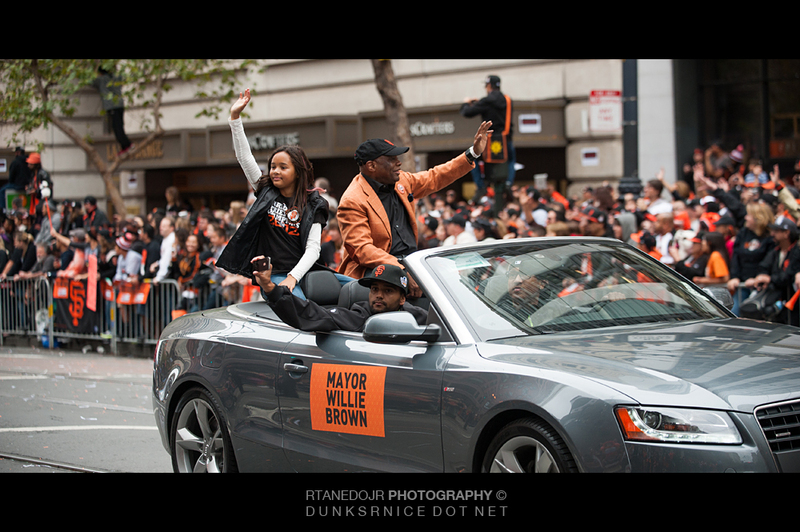 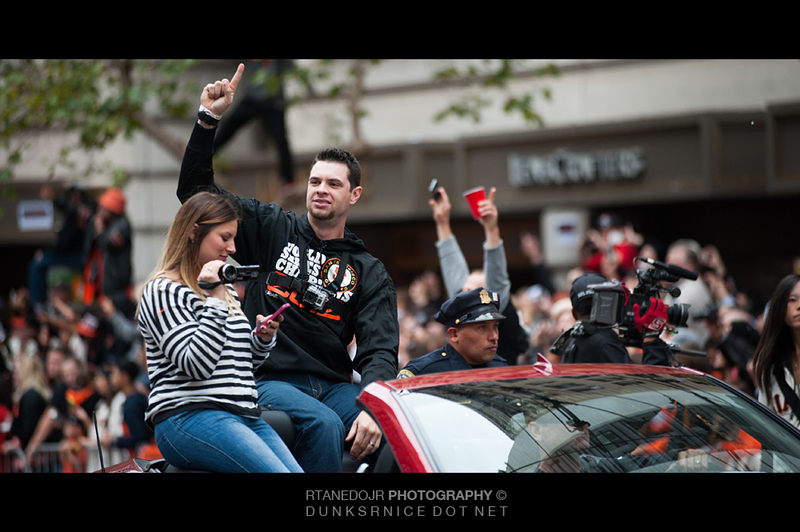 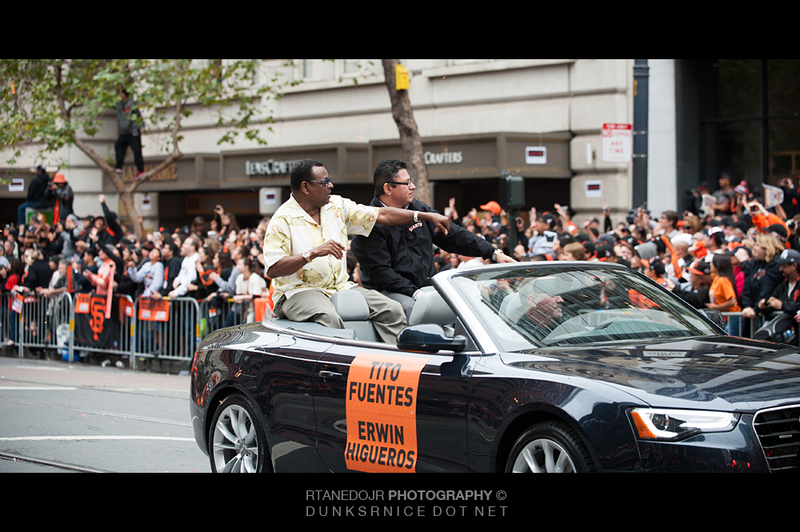 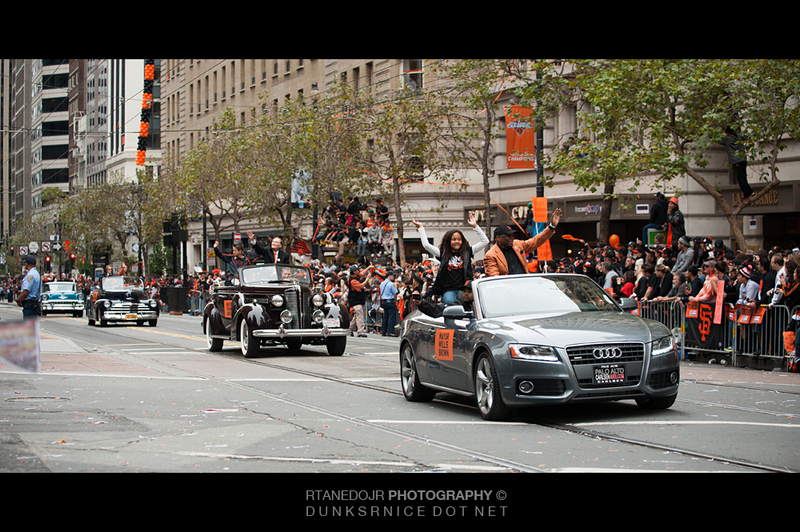 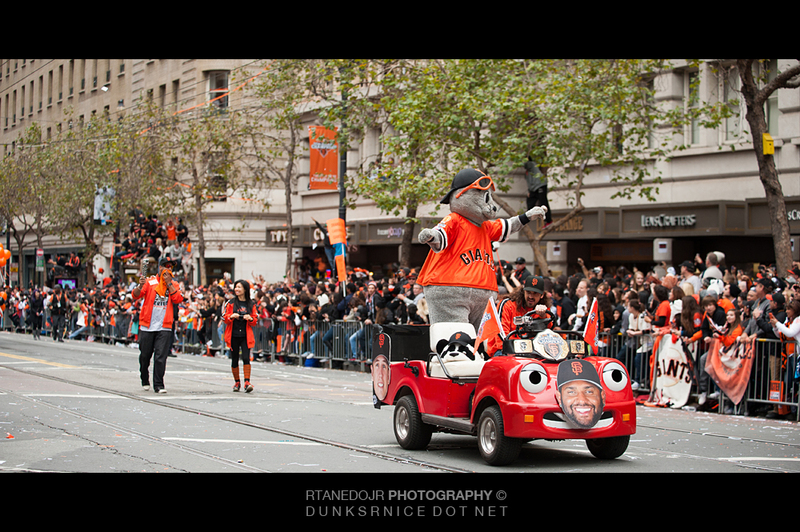 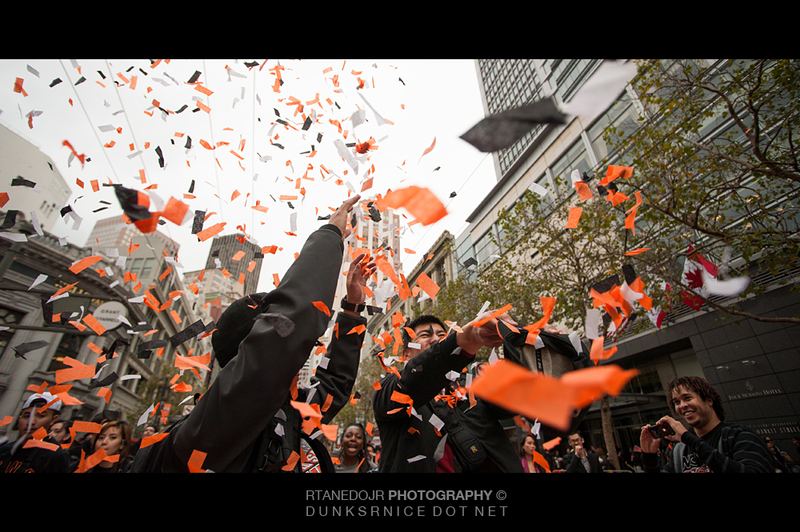 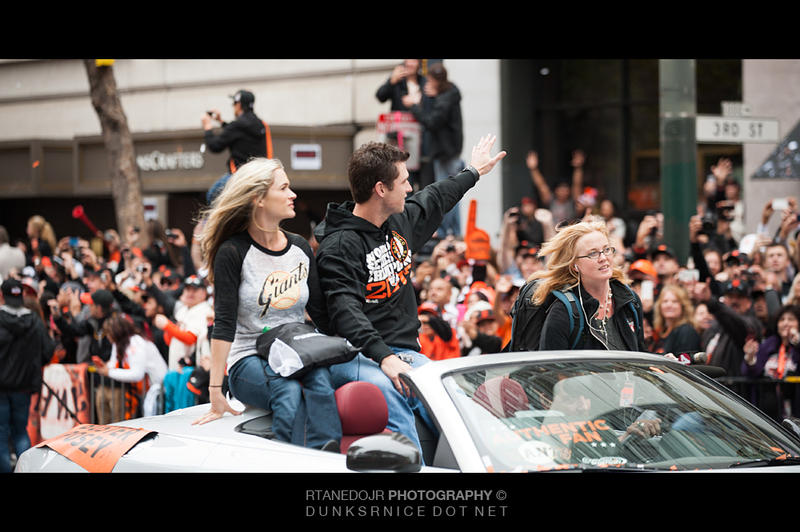 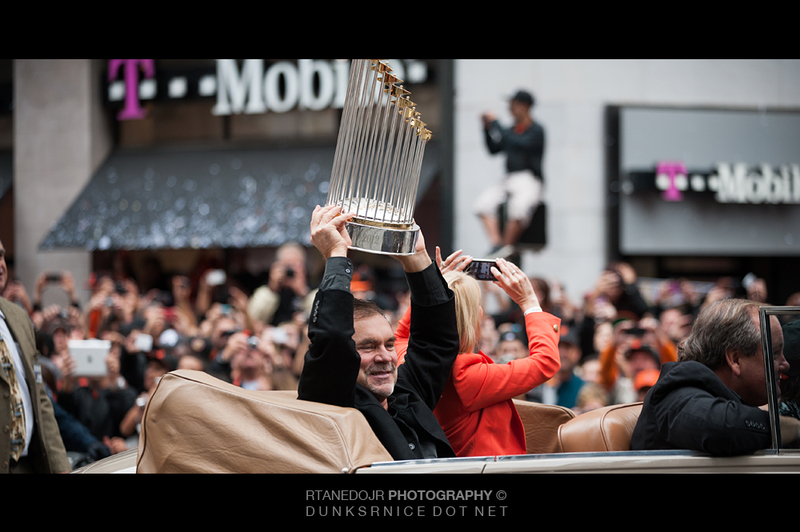 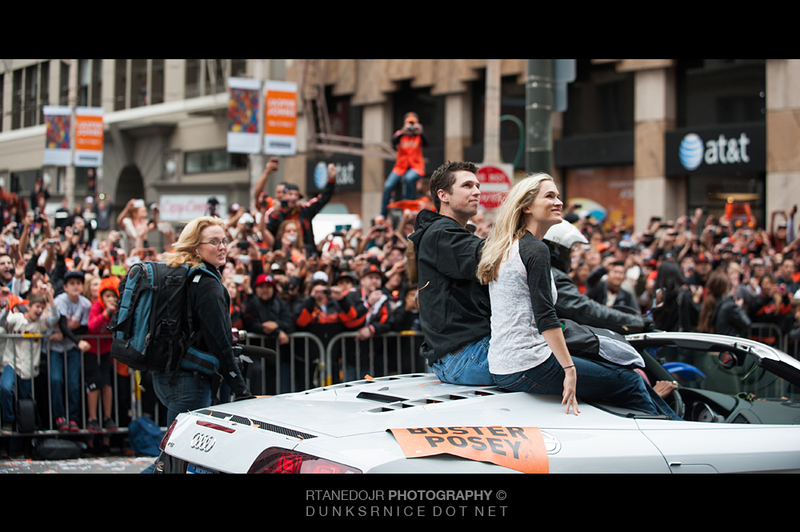 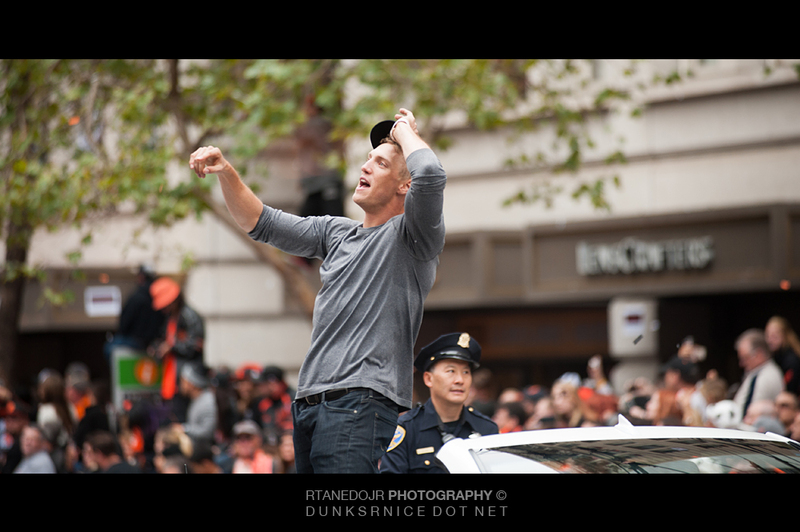 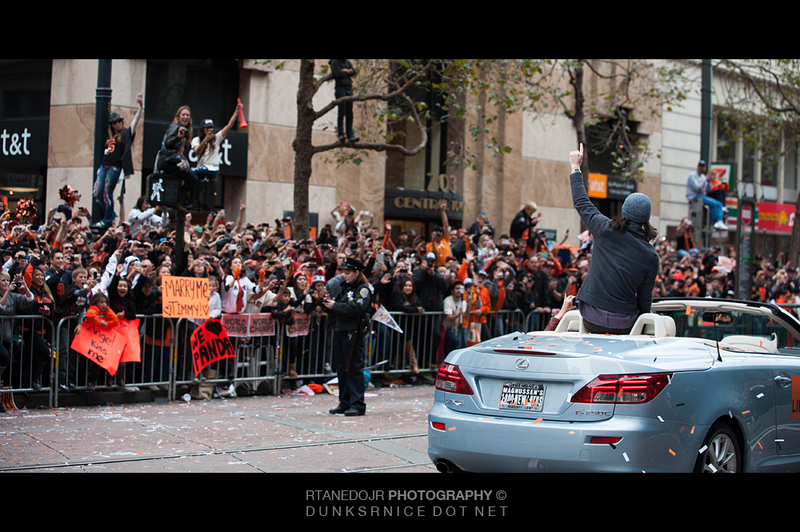 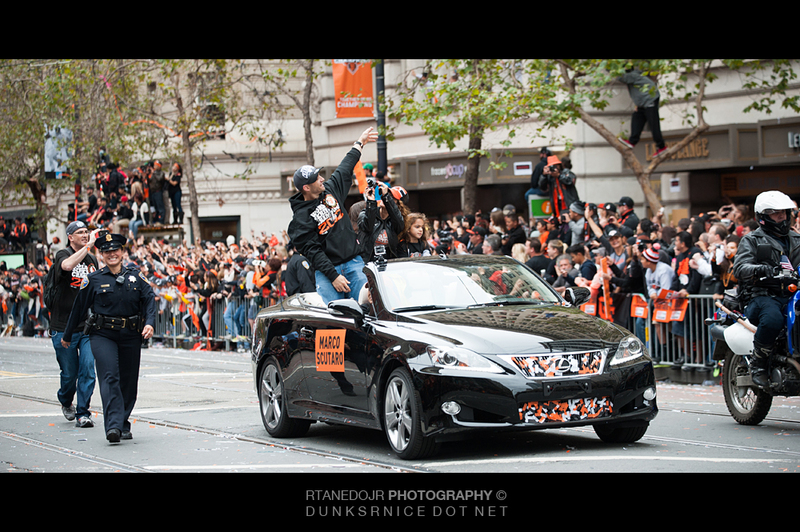 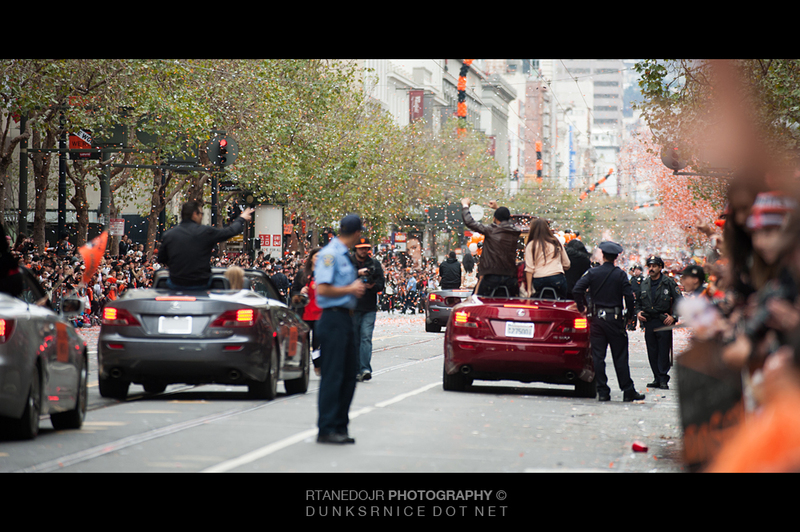 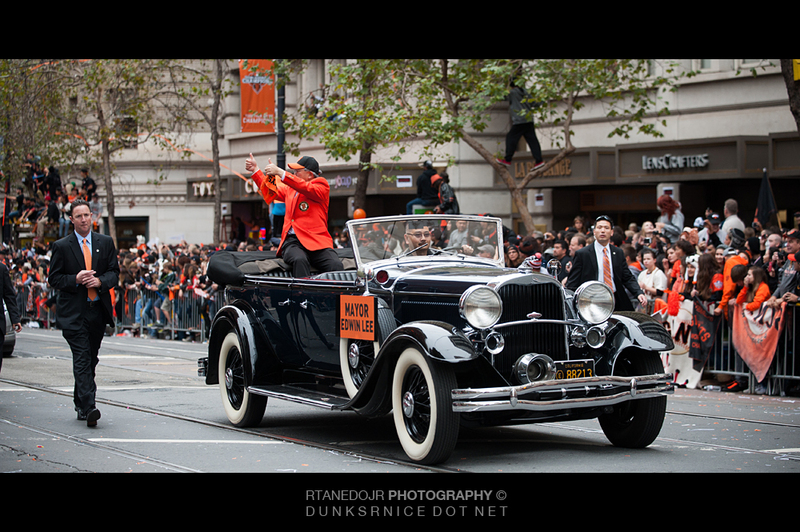 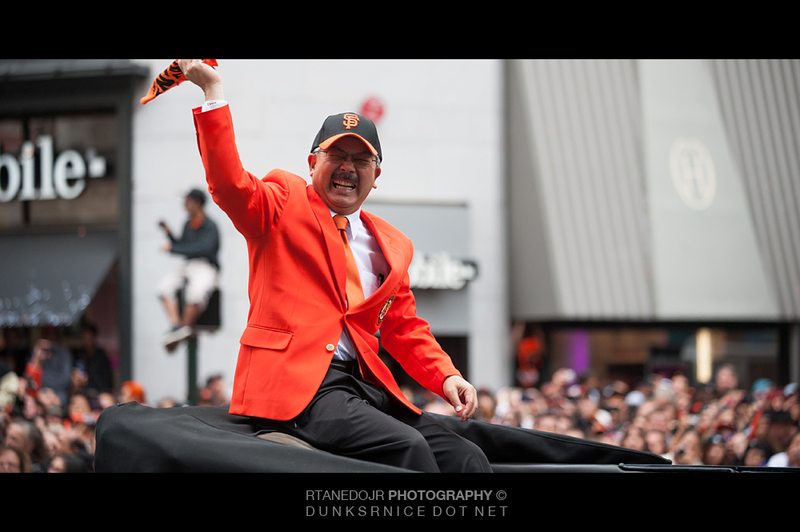 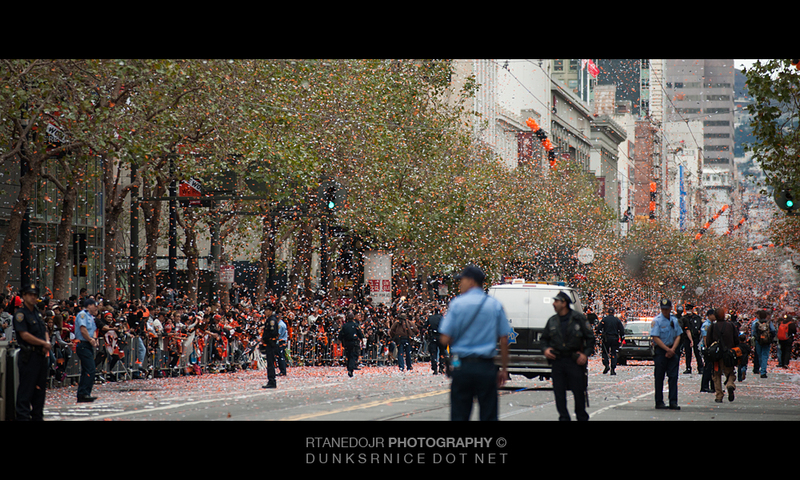 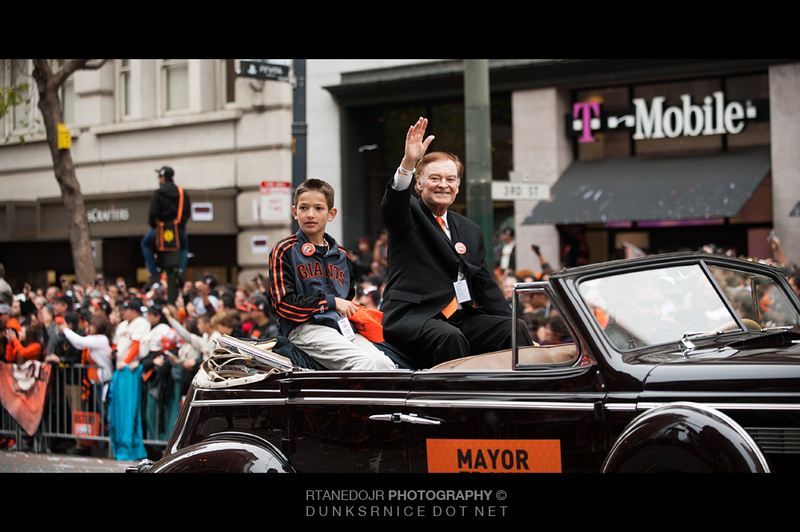 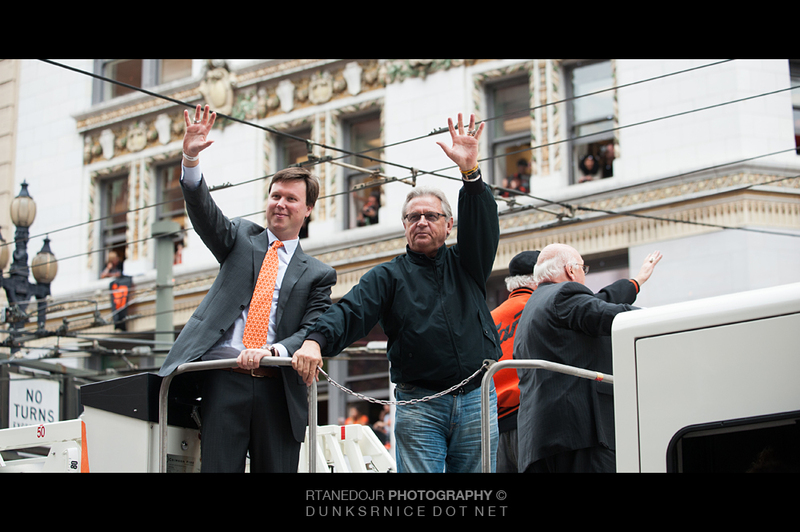 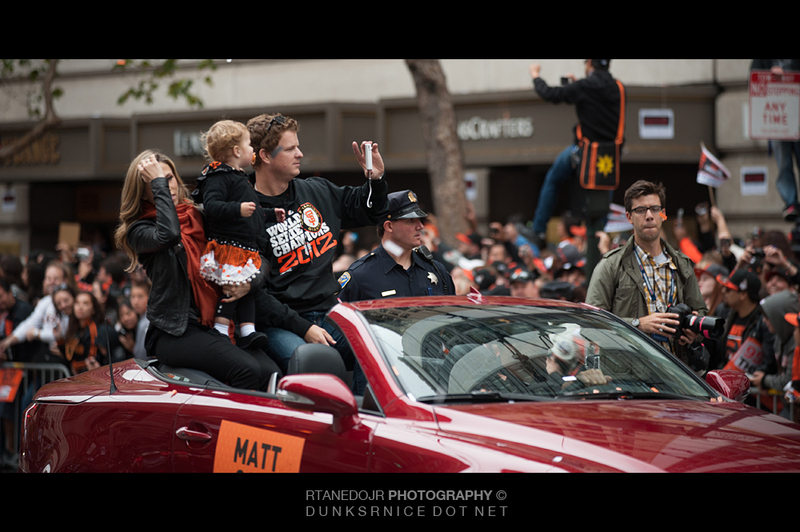 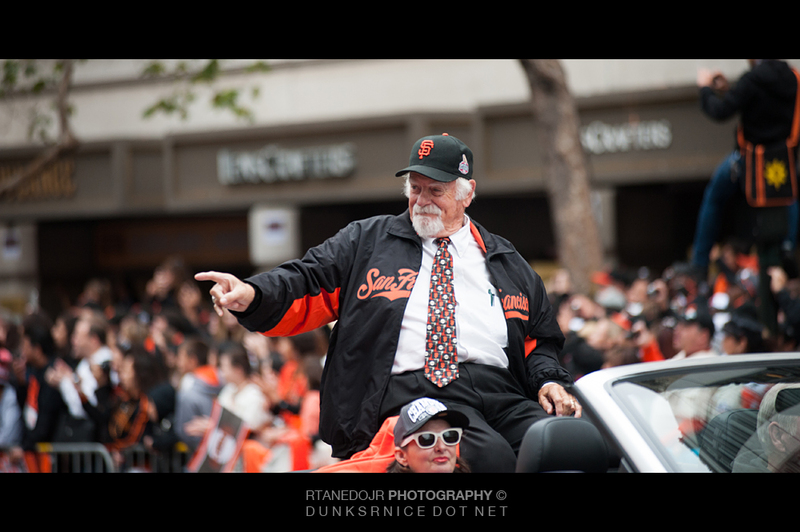 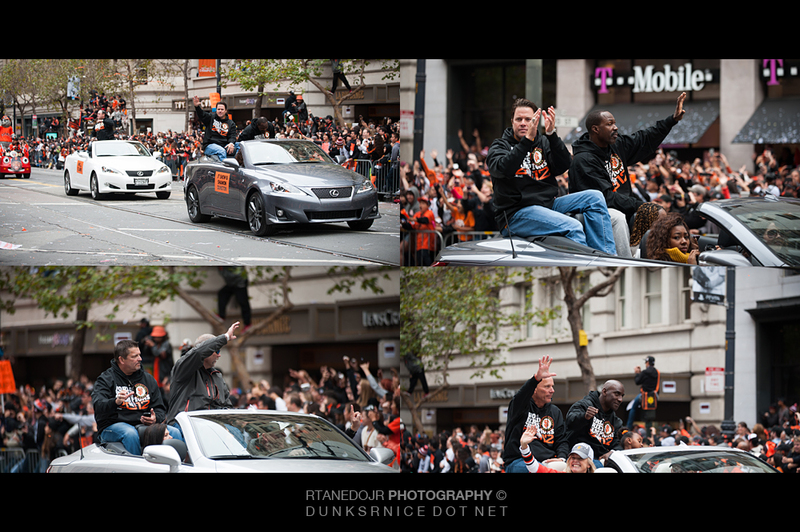 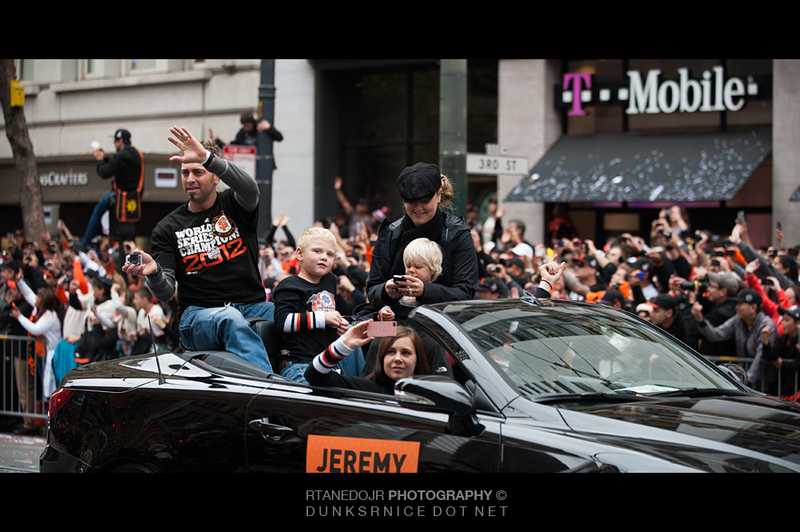 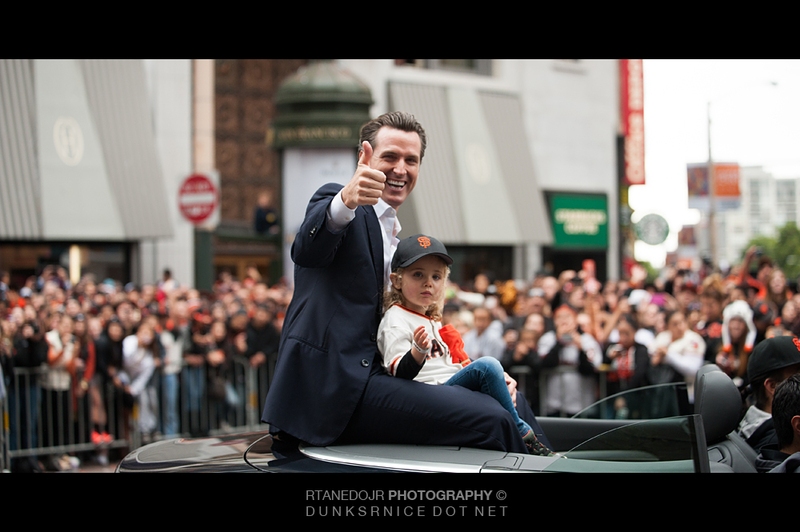 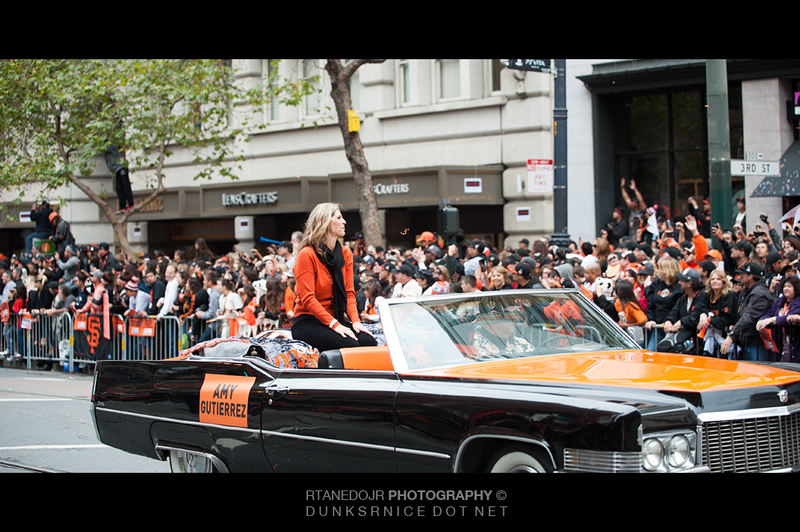 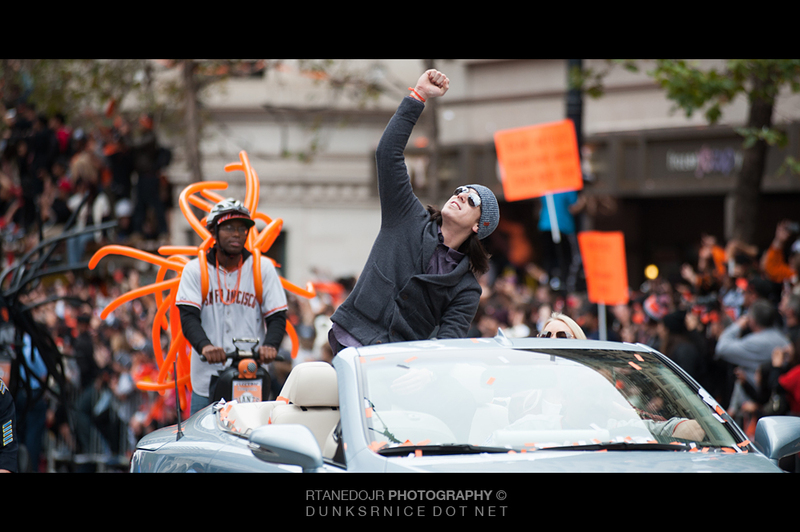 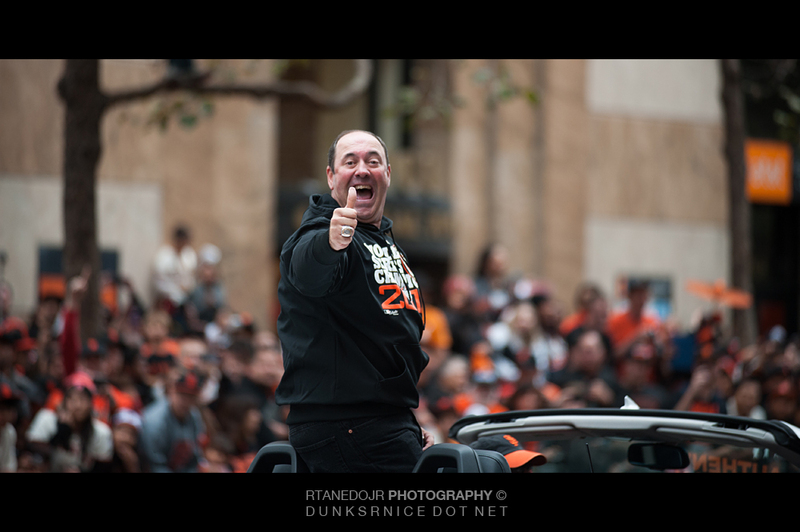 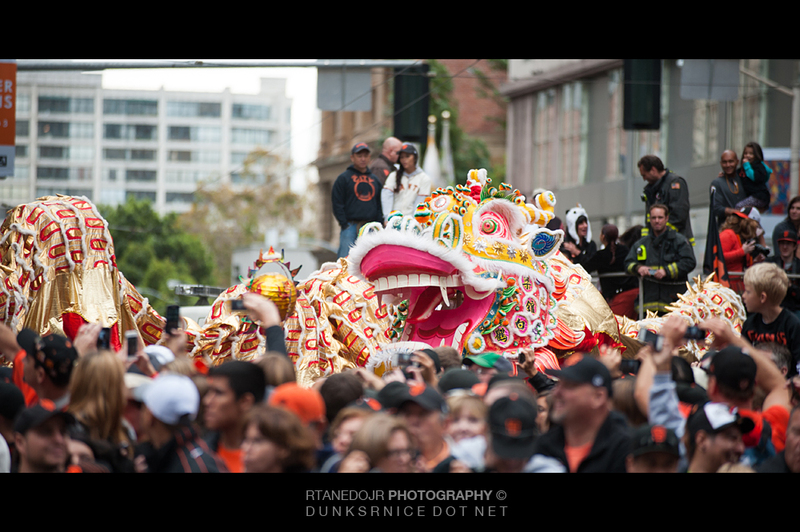 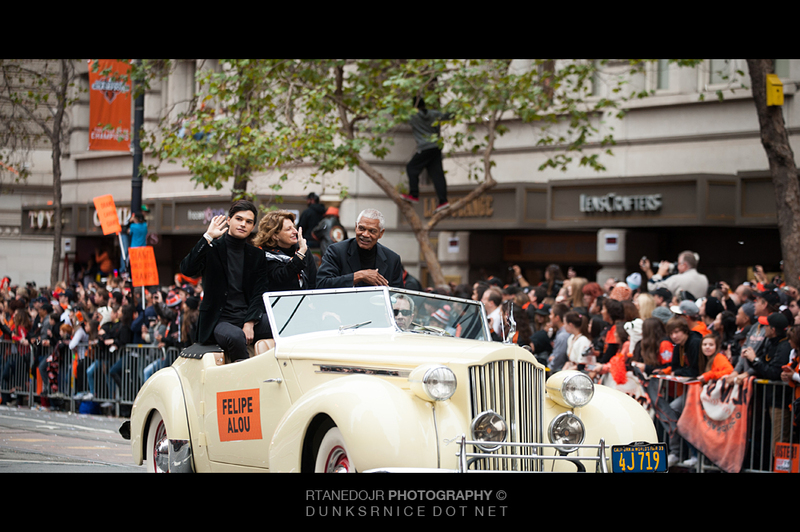 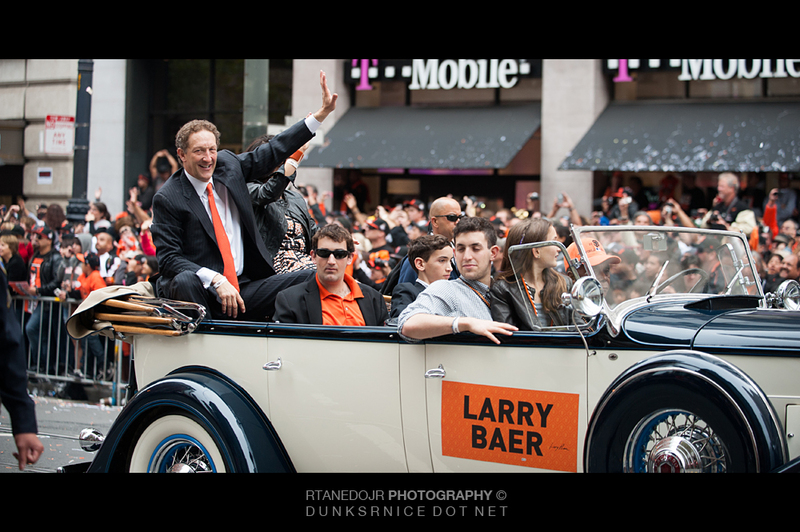 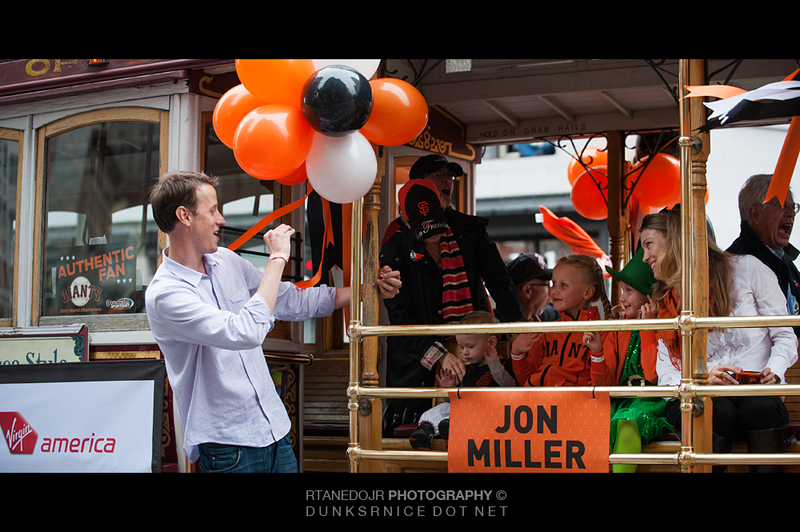 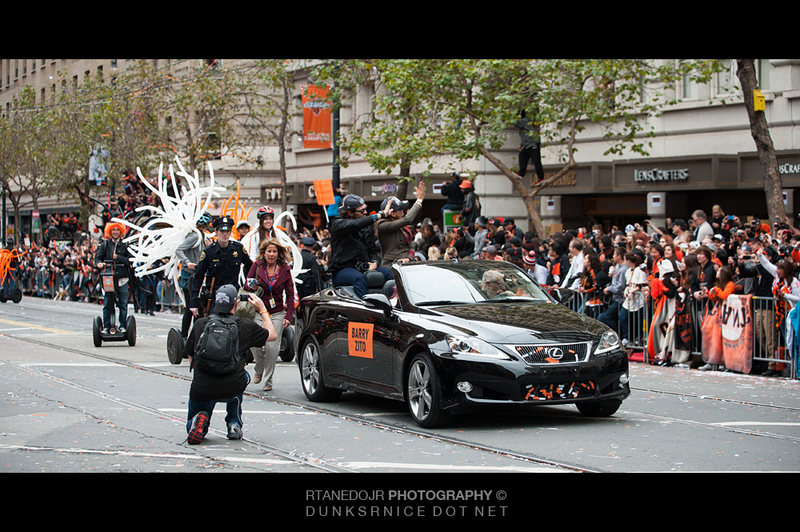 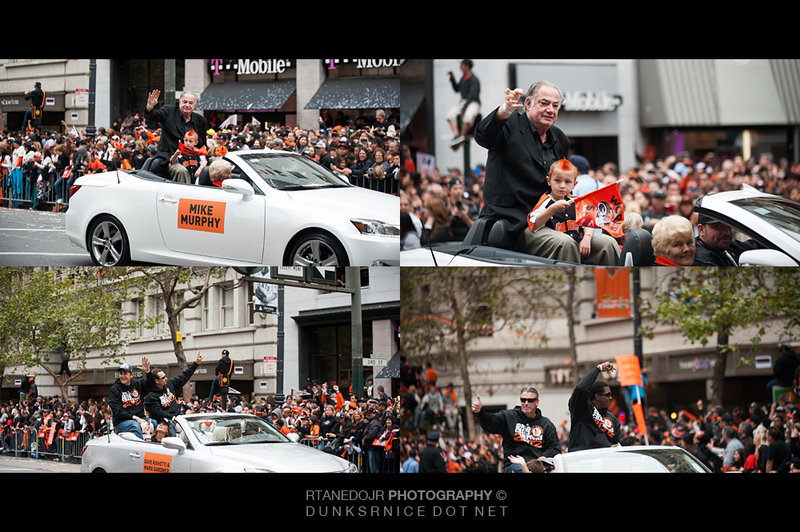 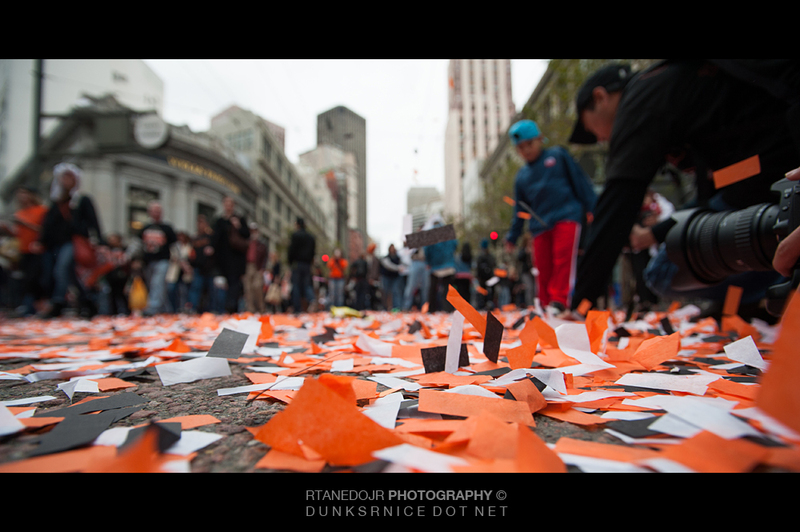 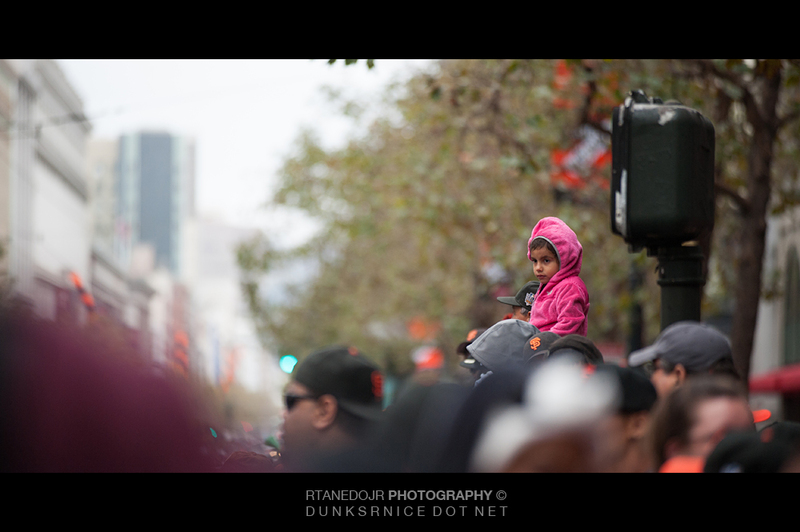 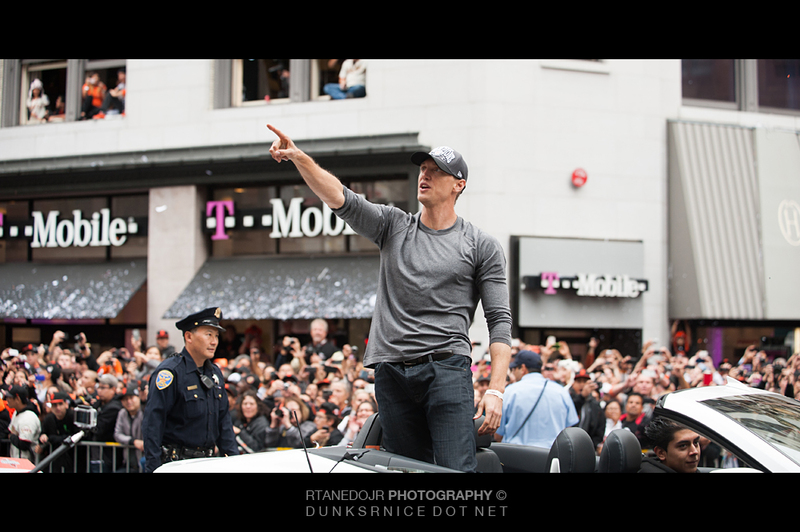 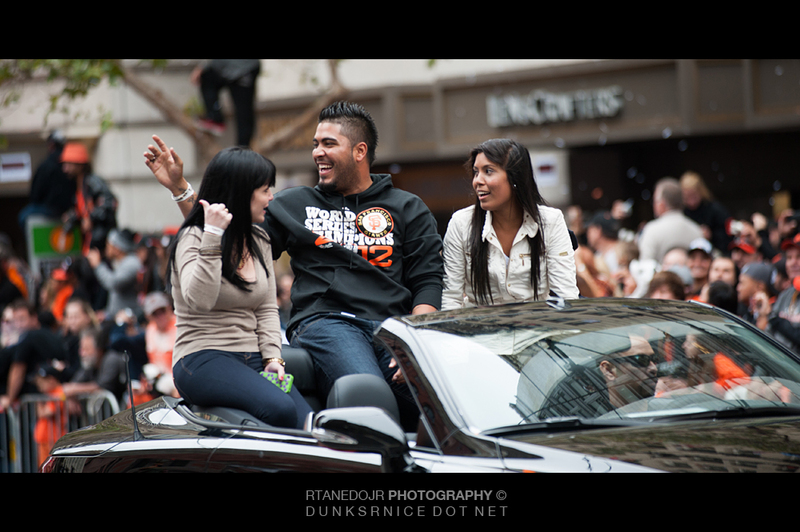 San Francisco kept the parade a lot more organized and a memory to last a lifetime.